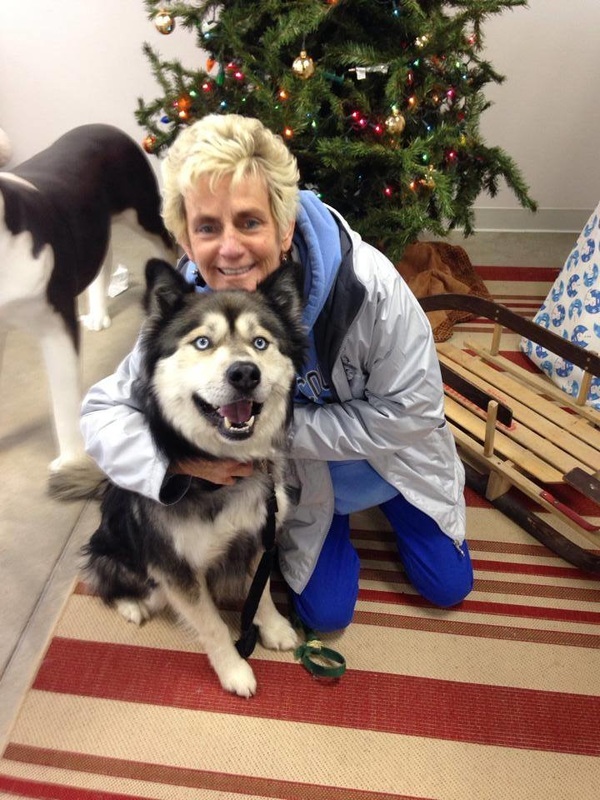 Uno is now owned and loved by his new mom Katie! He recently celebrated his second birthday! 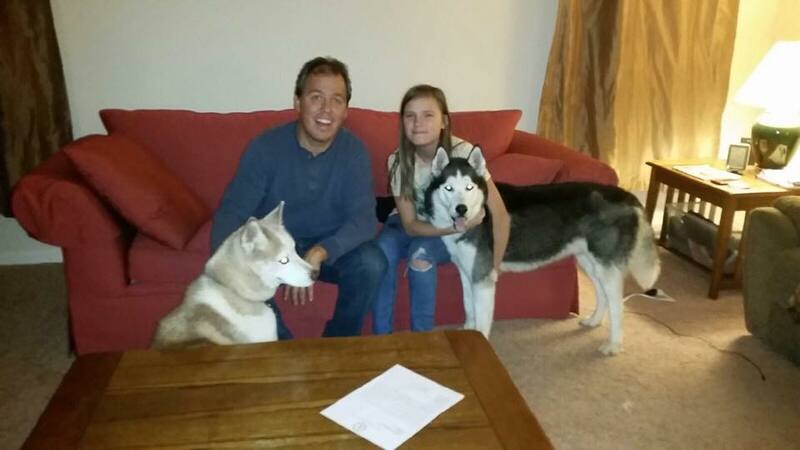 Kodi is now owned and loved by the Bzowy family! He also has a German Shepherd sister! 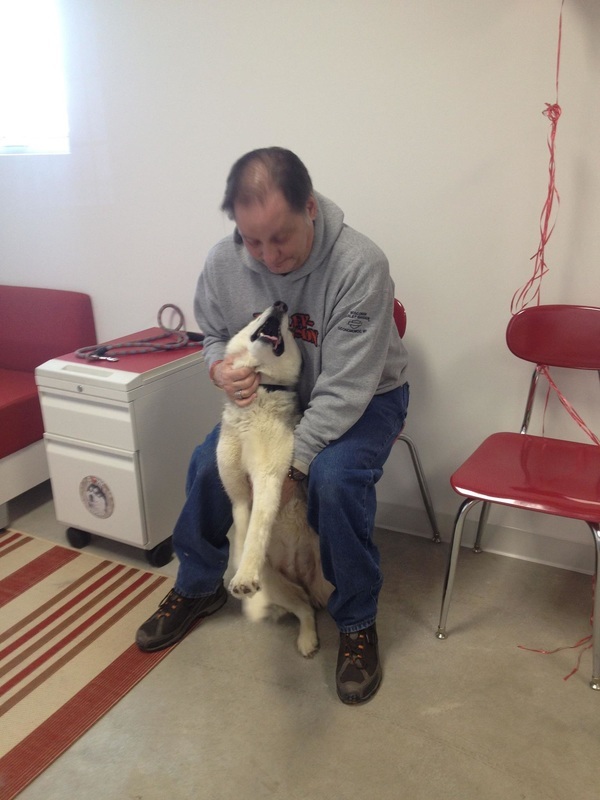 Deuce is now owned and loved by his new dad Jacob! 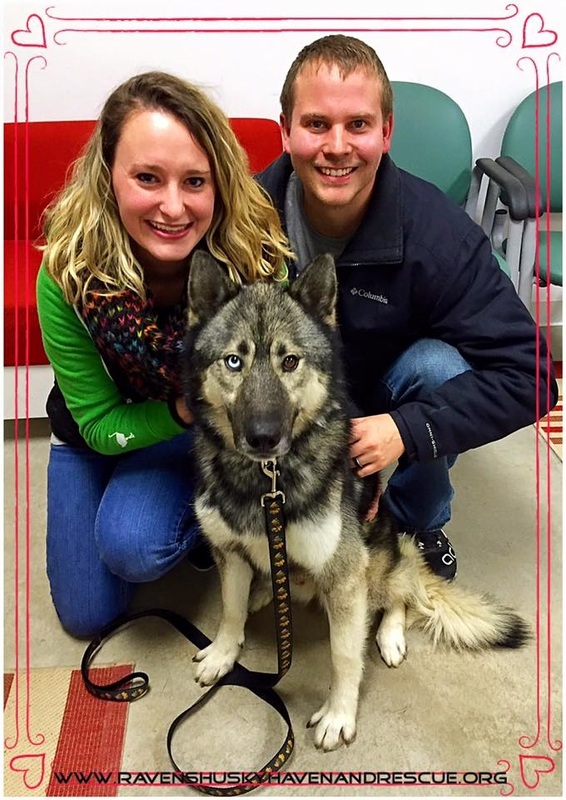 Trey (now Maverick) is now owned and loved by the Mascarella family! 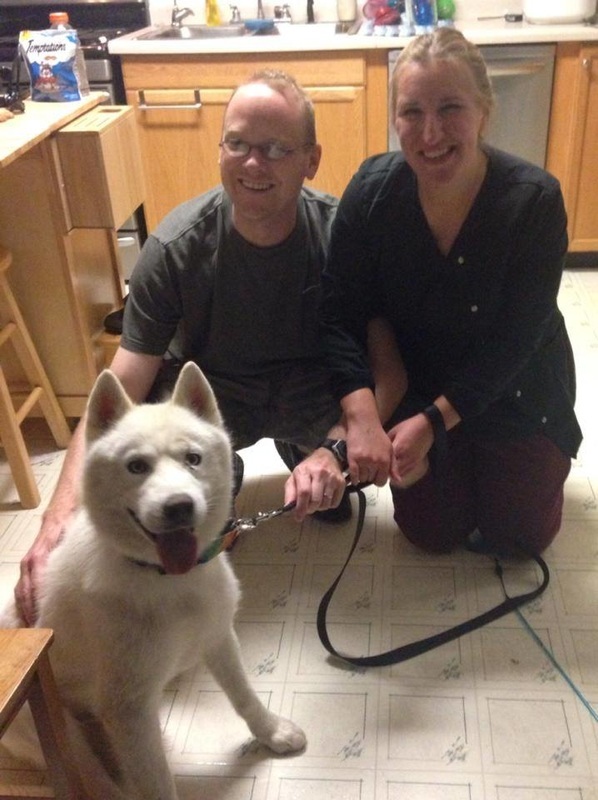 Tetra is now owned and loved by Meggie and John! 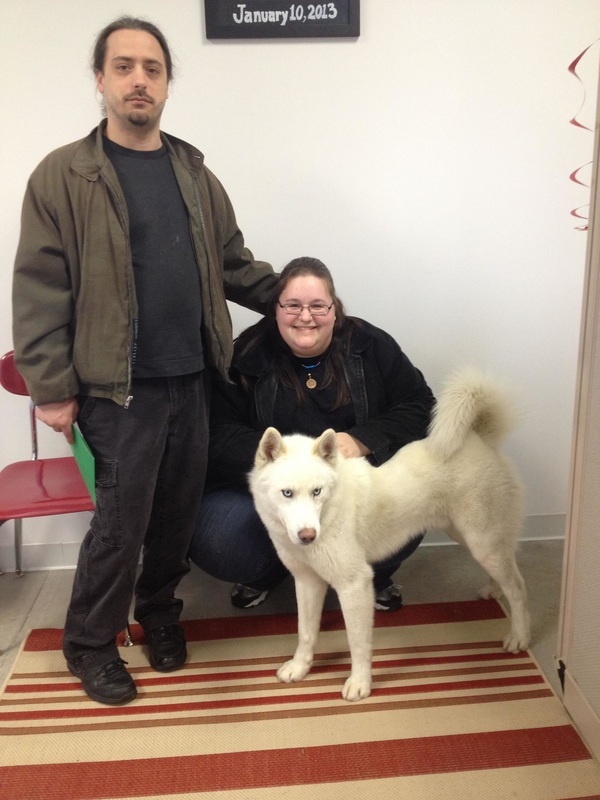 Blaze is now owned and loved by his new mom and dad - April and Dave! 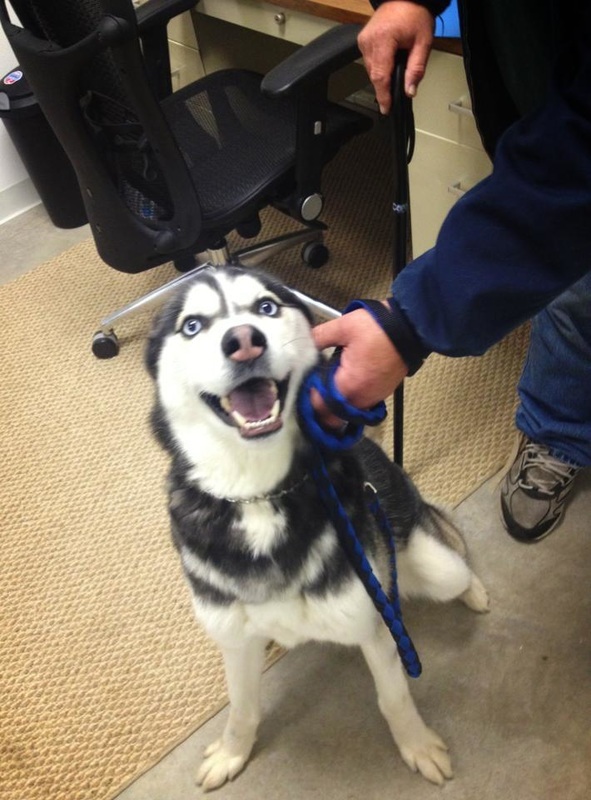 He has a husky sister named Glitter! 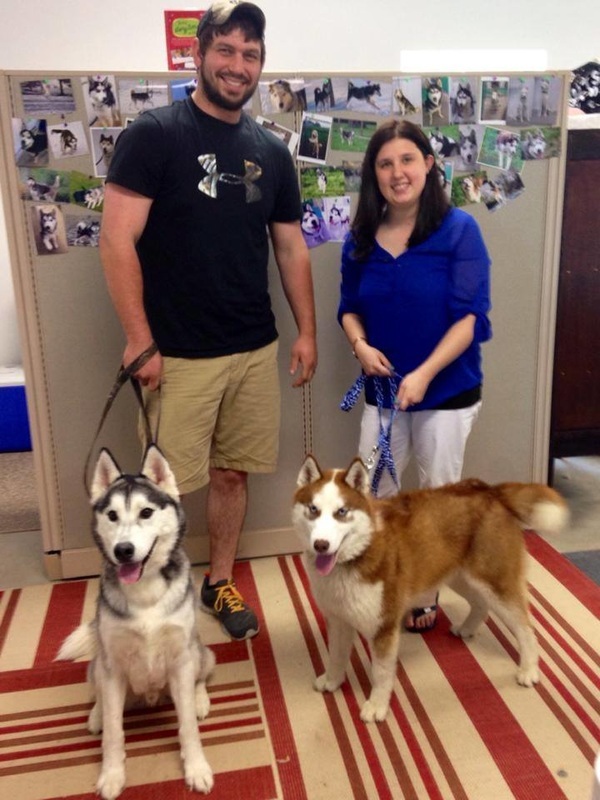 Blitz is owned and loved by the Camden family! He is part of a competitive mushing team!! 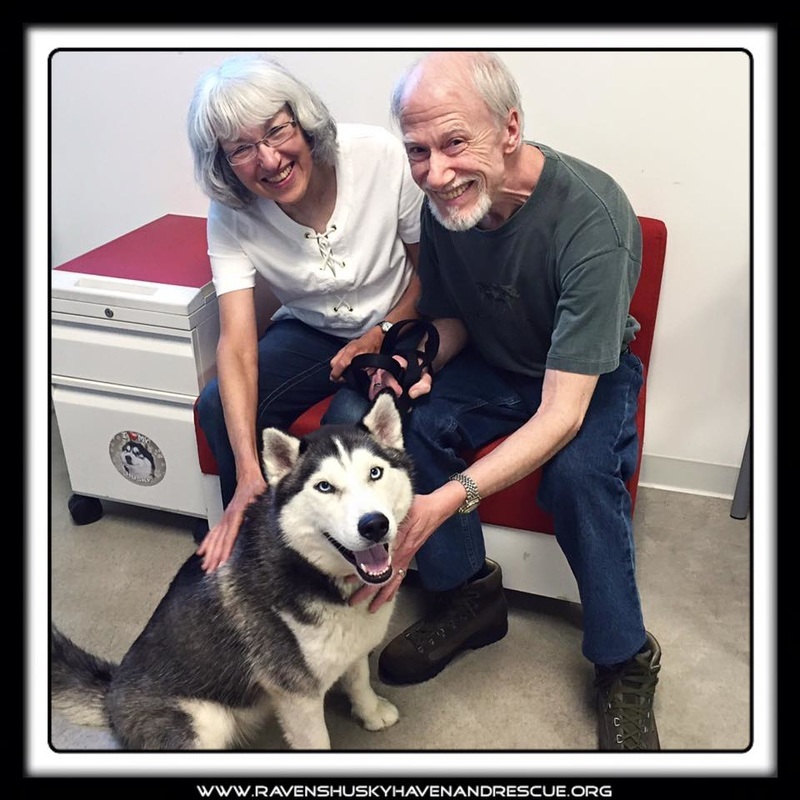 Hawk is now owned and loved by the Pote family! 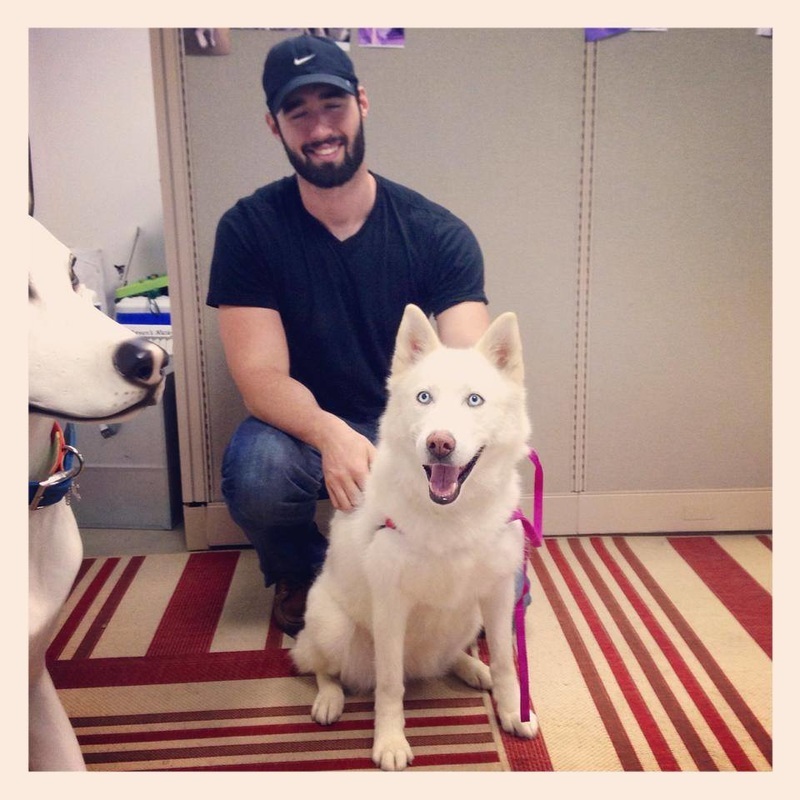 He has a husky brother and runs on a sled team! 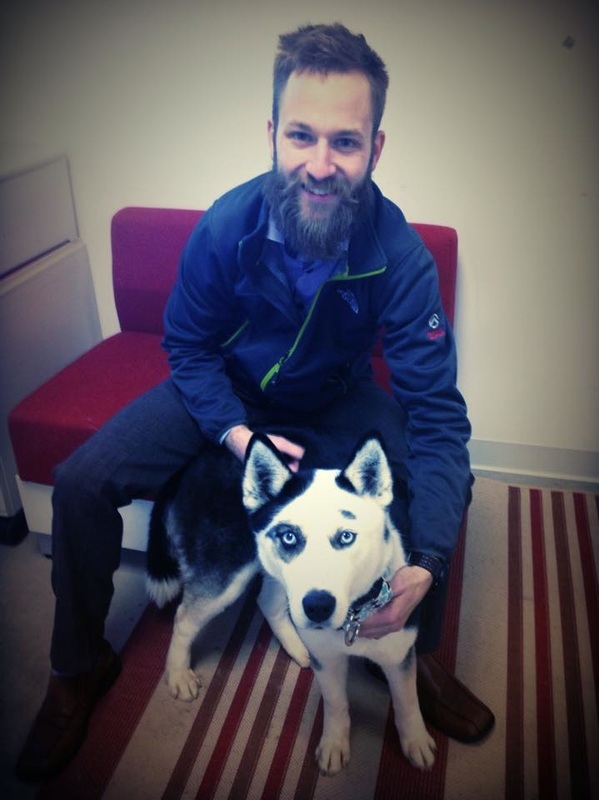 Scooter is now owned and loved by his new dad Mike! 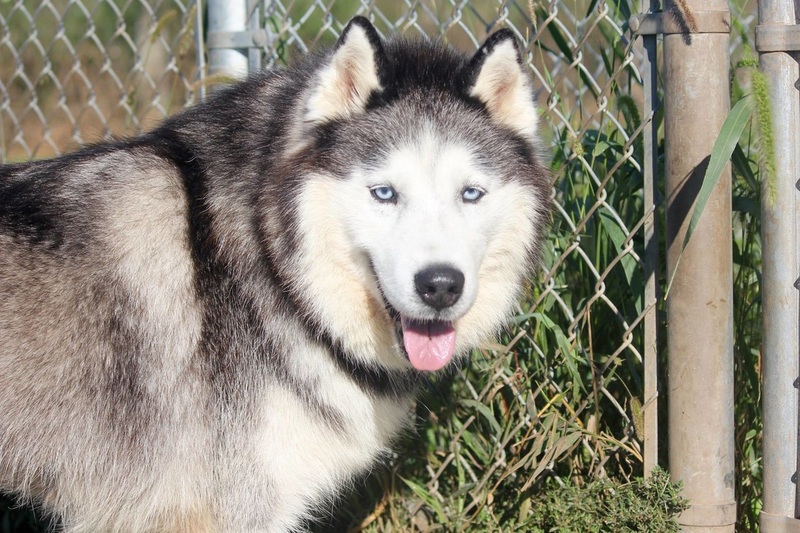 He also has a husky brother named Demon! 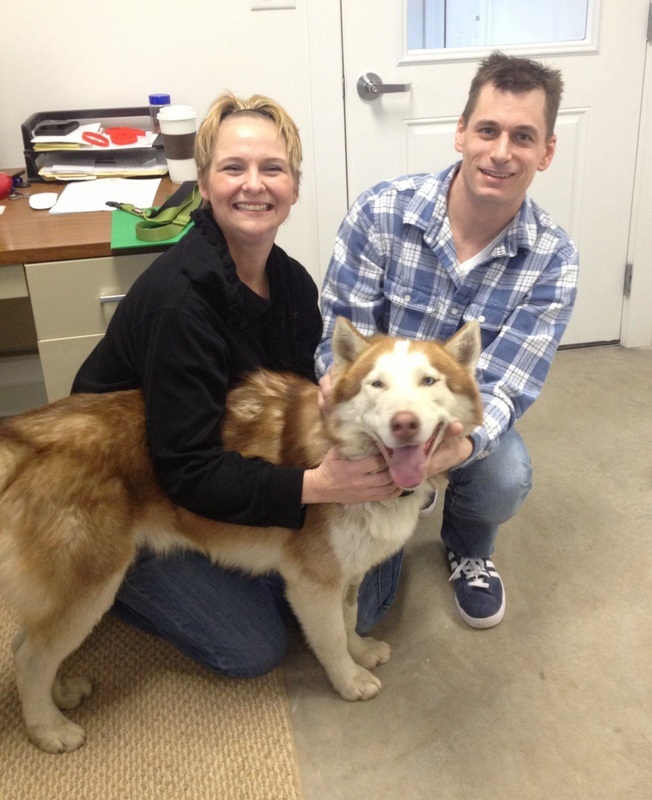 Retro (now Lukas) is now owned and loved by Sue and Tom! 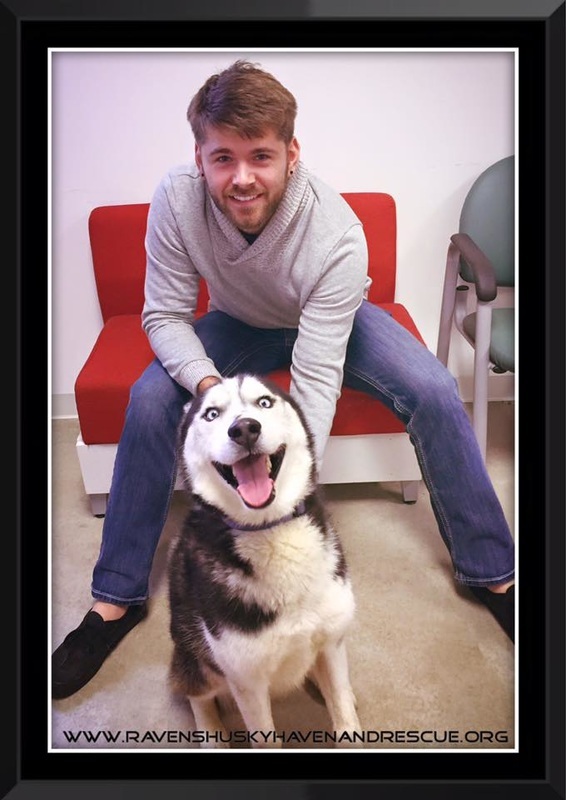 He has two husky siblings, Karma and Ginger! 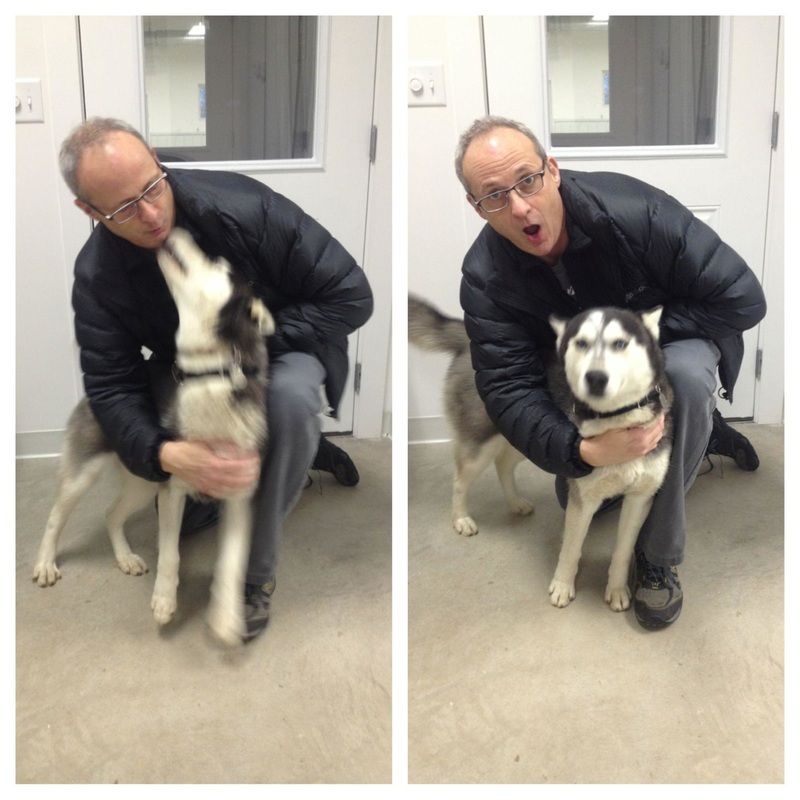 Sasha (now Cabo) is owned and loved by her new dad Jay! 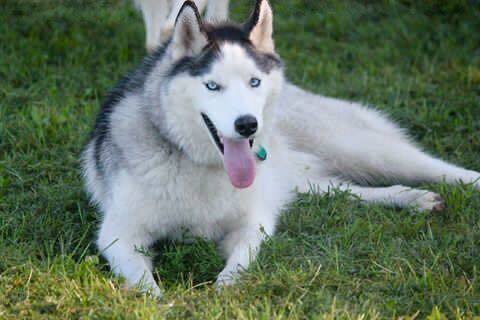 She has two husky sisters (Santos and Baja) and a brother, our Loki! 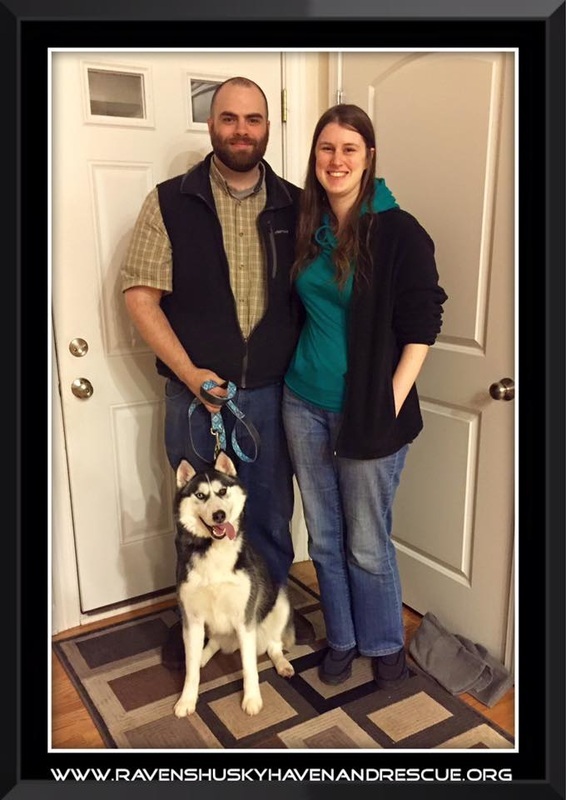 Belo (now Zephyra) is owned and loved by Sarah and Carl! 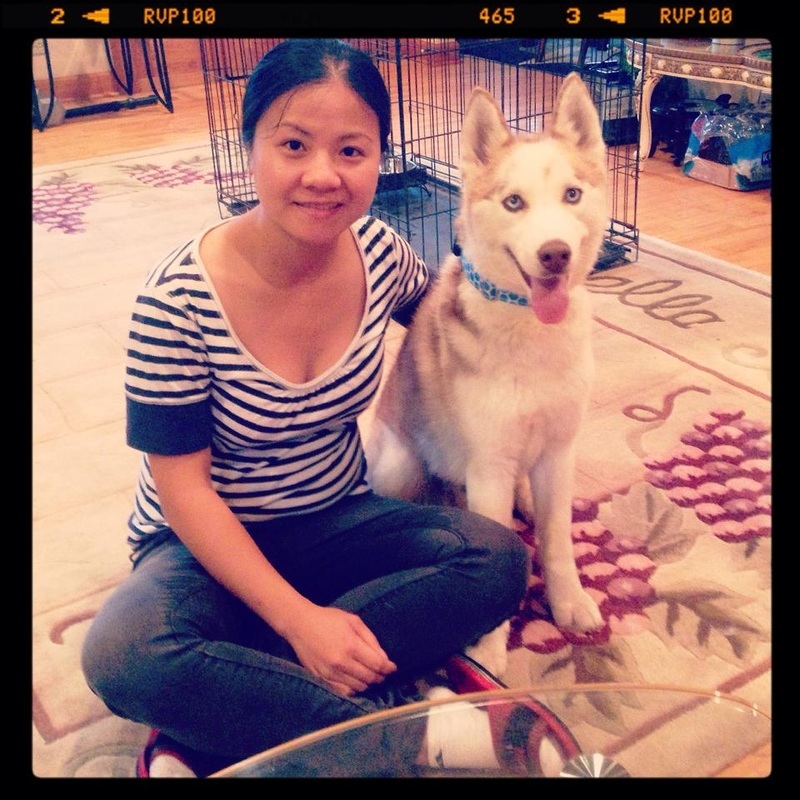 Her doggie “cousin” is none other than our Juno! 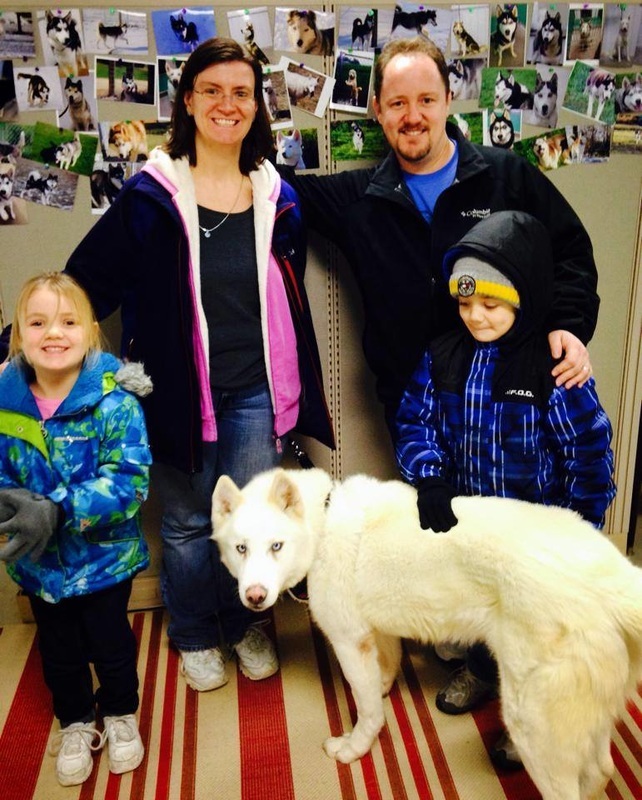 Flurry is owned and loved by the Jagow family! Her doggie "brother" is our Igor! 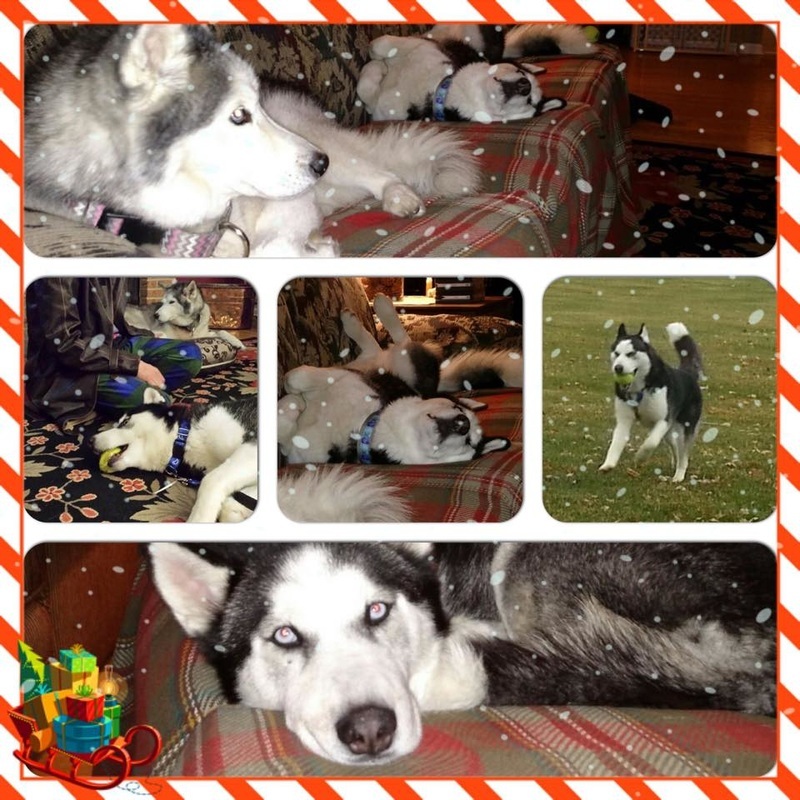 Blue was owned and loved by the Hill family with alum "sister" Sabrina, until his passing at 12 years old. 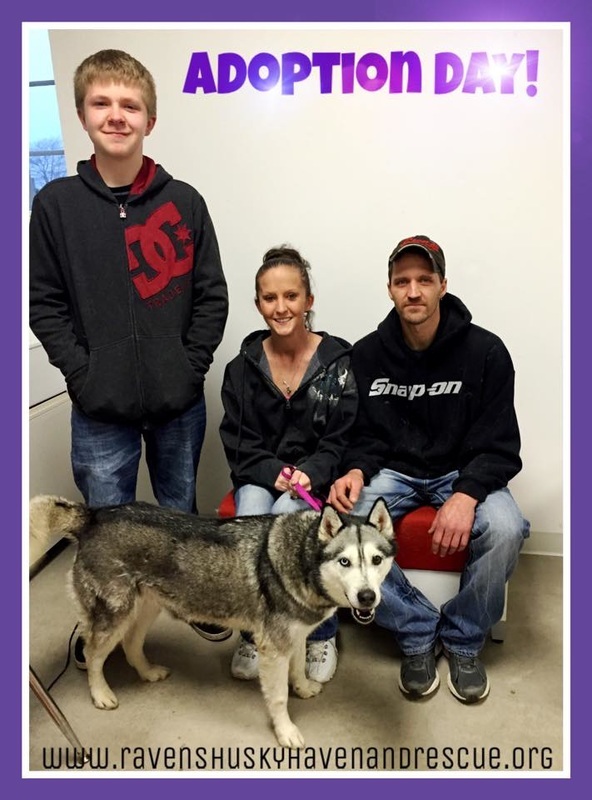 Thank you to the Hill family for adopting this wonderful senior boy. 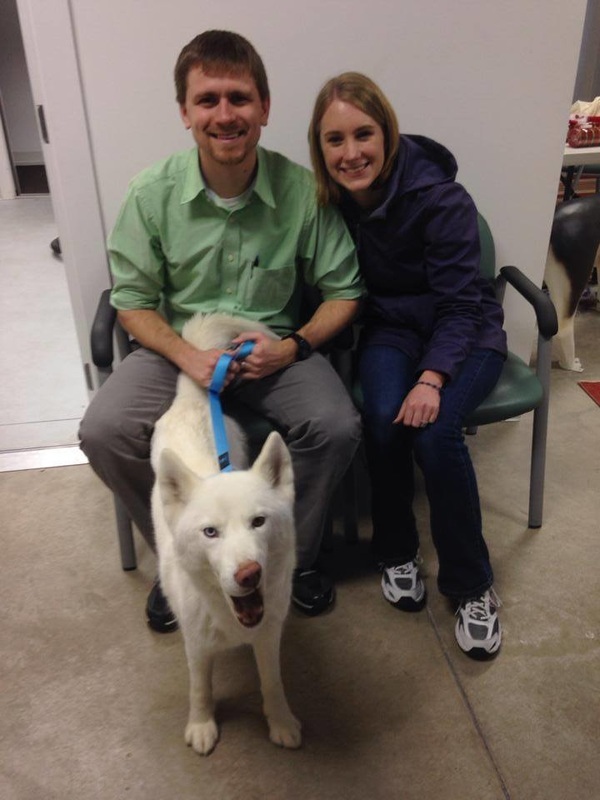 Kira is owned and loved by the Boren family! 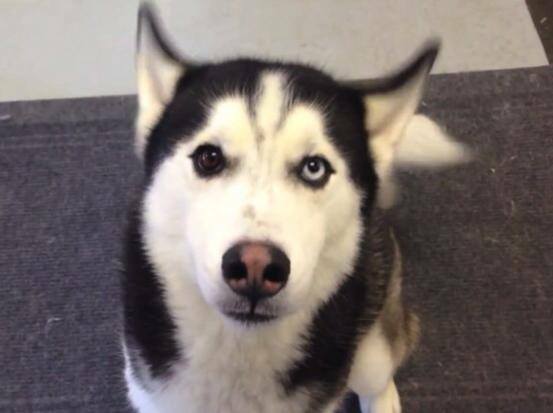 She has a husky brother named Kody! 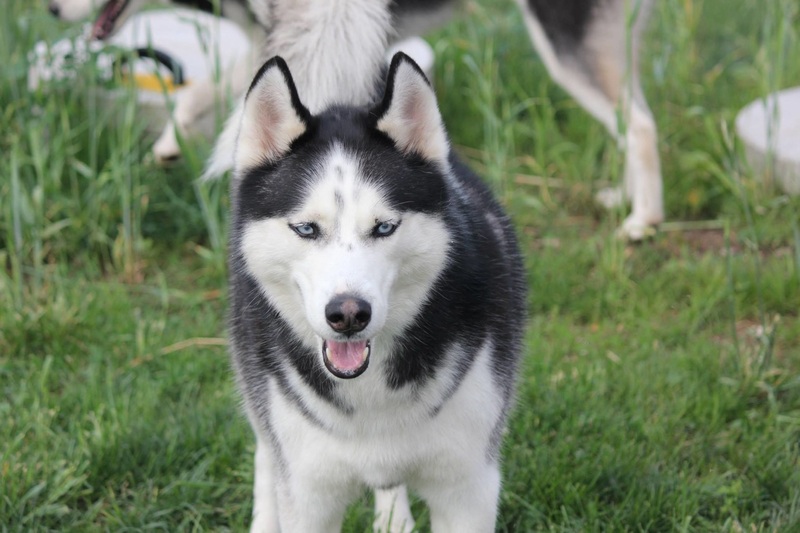 Max is owned and loved by the Gulino family, and has a husky sister named Harley! 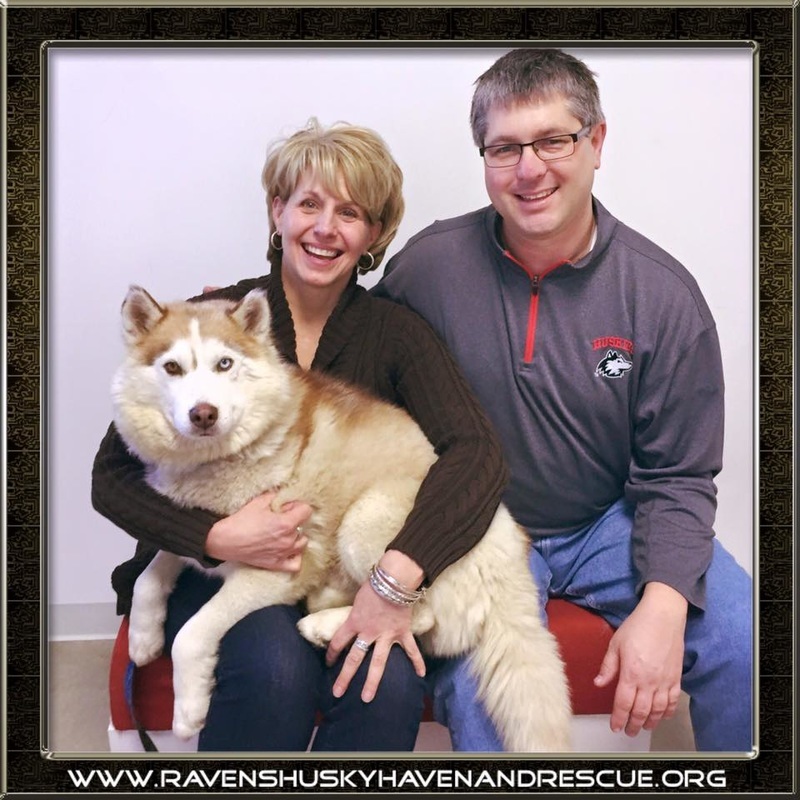 Luna is owned and loved by the Pavin Pack, and has two husky brothers! 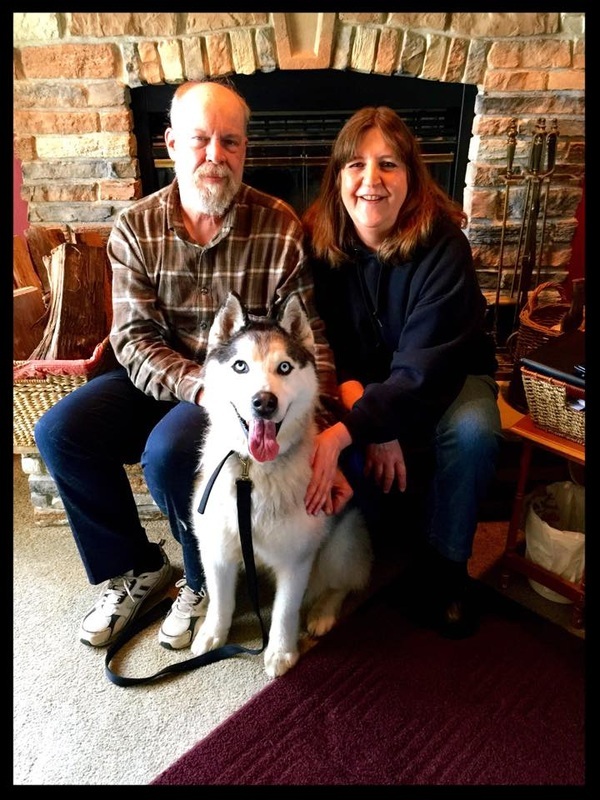 Ace is owned and loved by Lis, and has two husky brothers Sheriff and Demon! 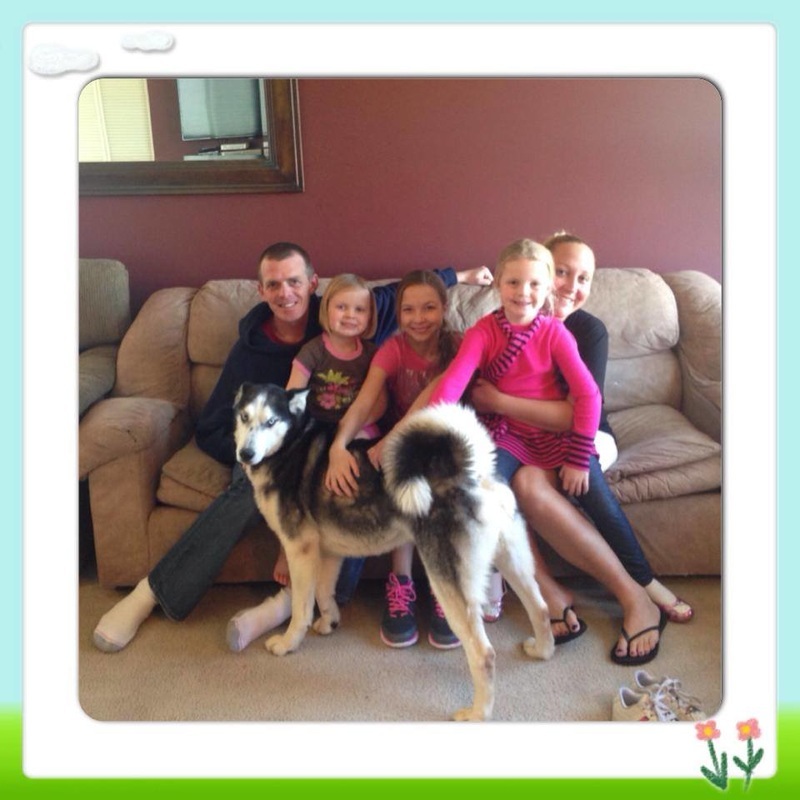 Mya is owned and loved by the Doggett family! 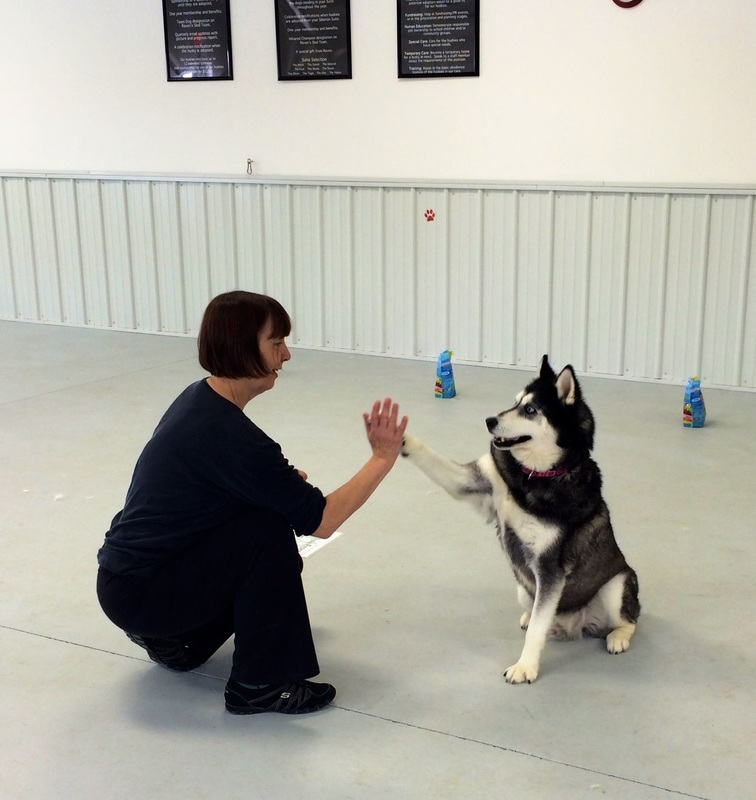 She is in training to be a flyball champion!! Chloe is owned and loved by the Freese family! 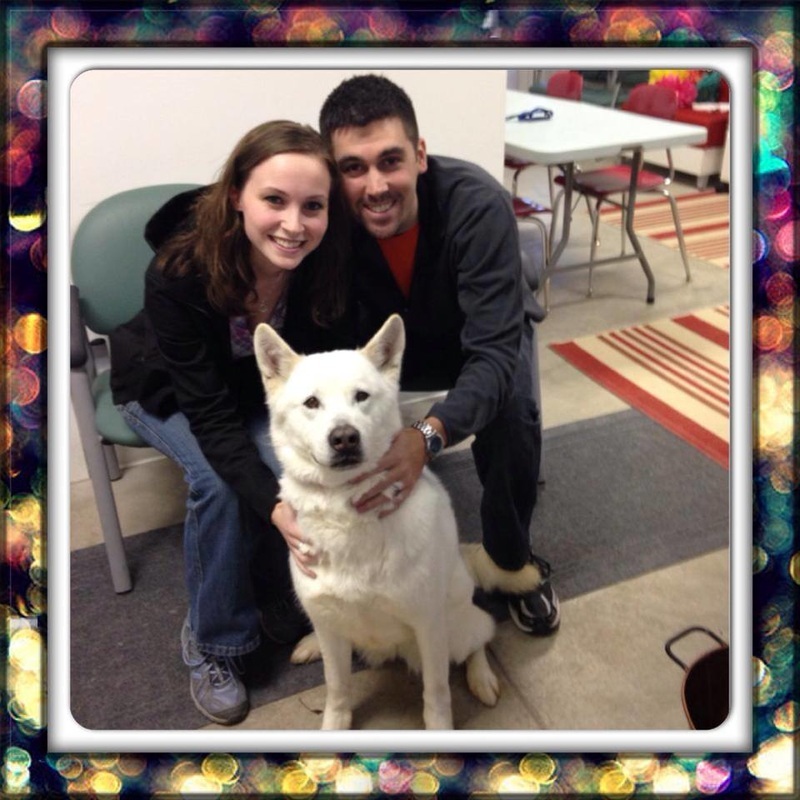 LaRue is owned and loved by her new dad Drevon! 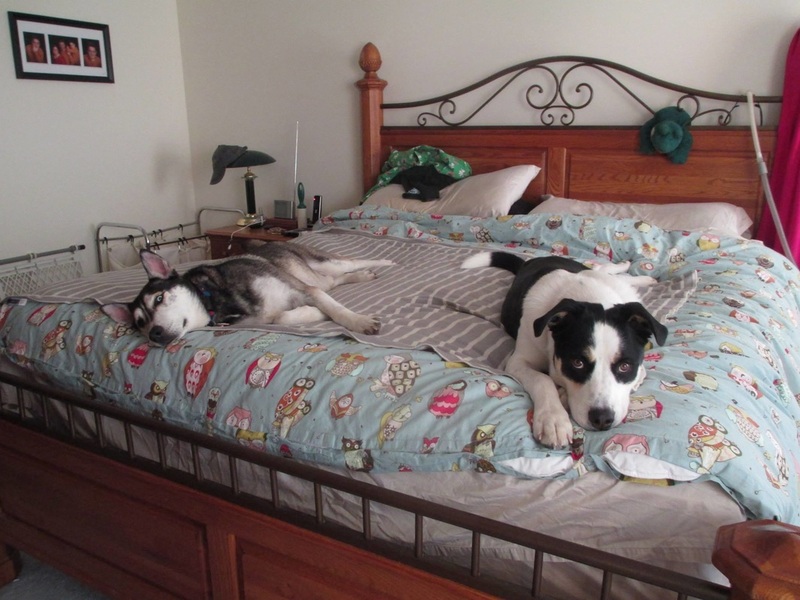 She even has a doggie sister! 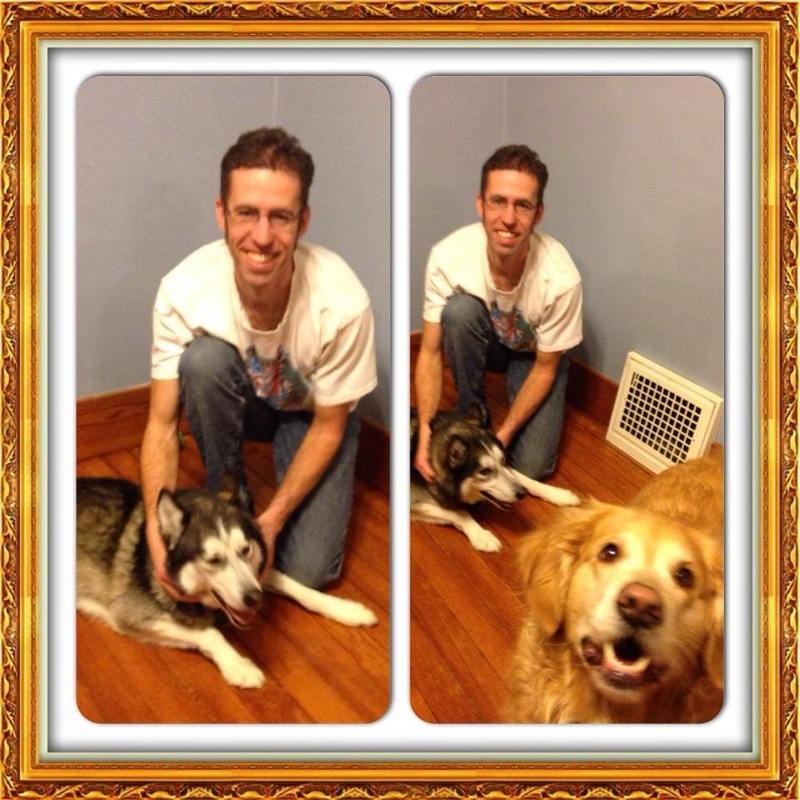 Igor is owned and loved by the Jagow family, and Flurry is his sister!!! Laddy is owned and loved by the Carzoli family! 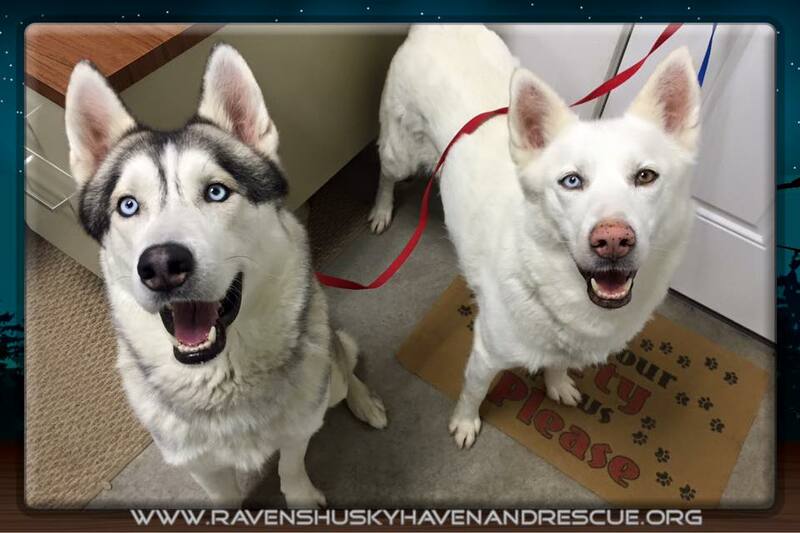 His "sister" is alum Ruby! 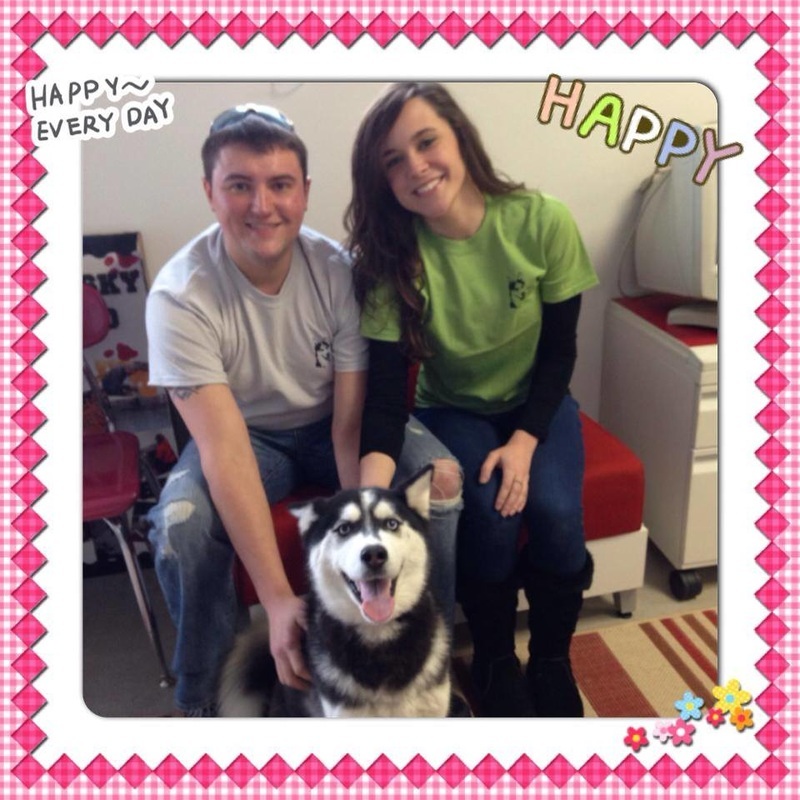 Dakota is owned and loved by the Hughes family, and even has a doggie sister to play with! 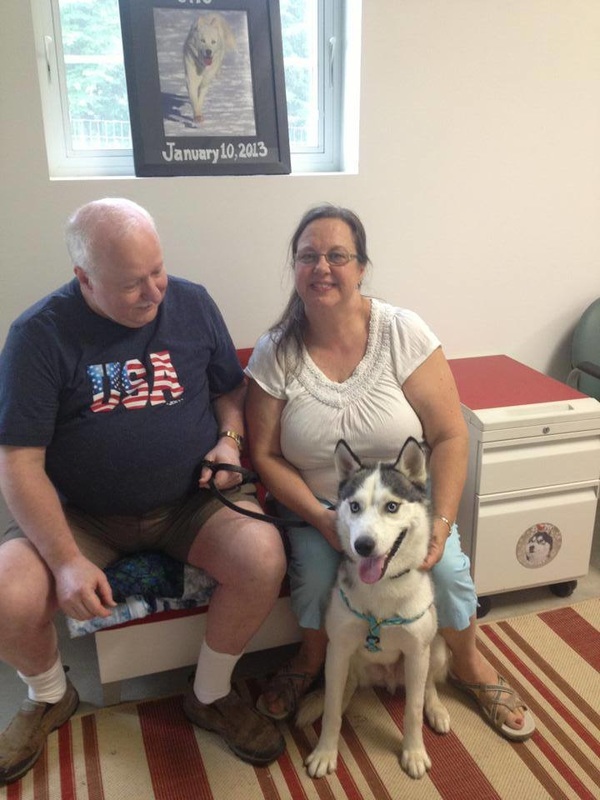 Juno (now Nimbus) is owned and loved by the Paterik family! He is the “cousin” of our Belo (Zephyra)! 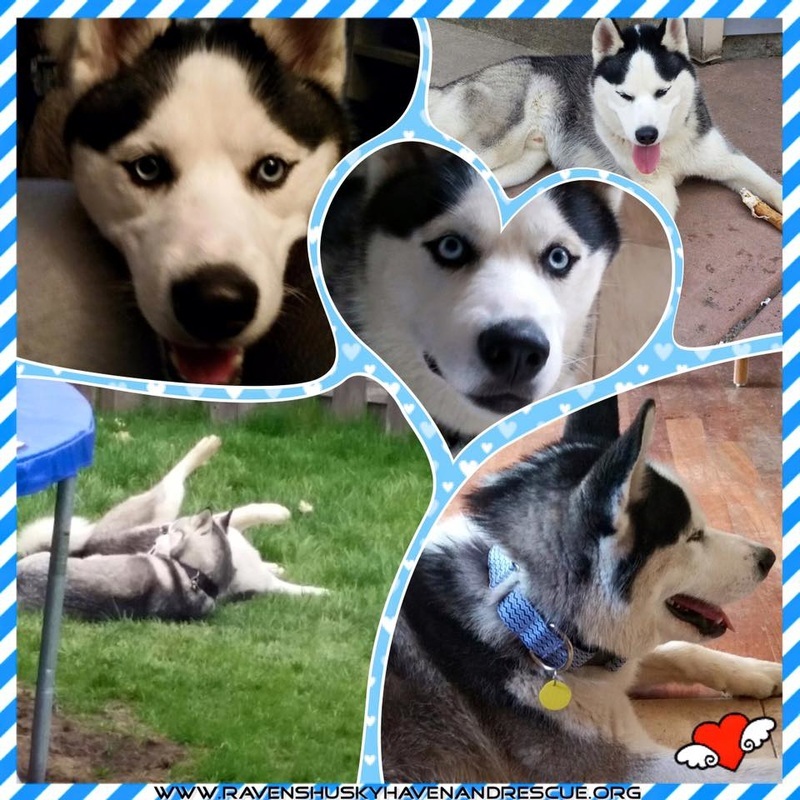 Loki is owned and loved tby Jay, and his three huskies Santos, Baja, and our Cabo! 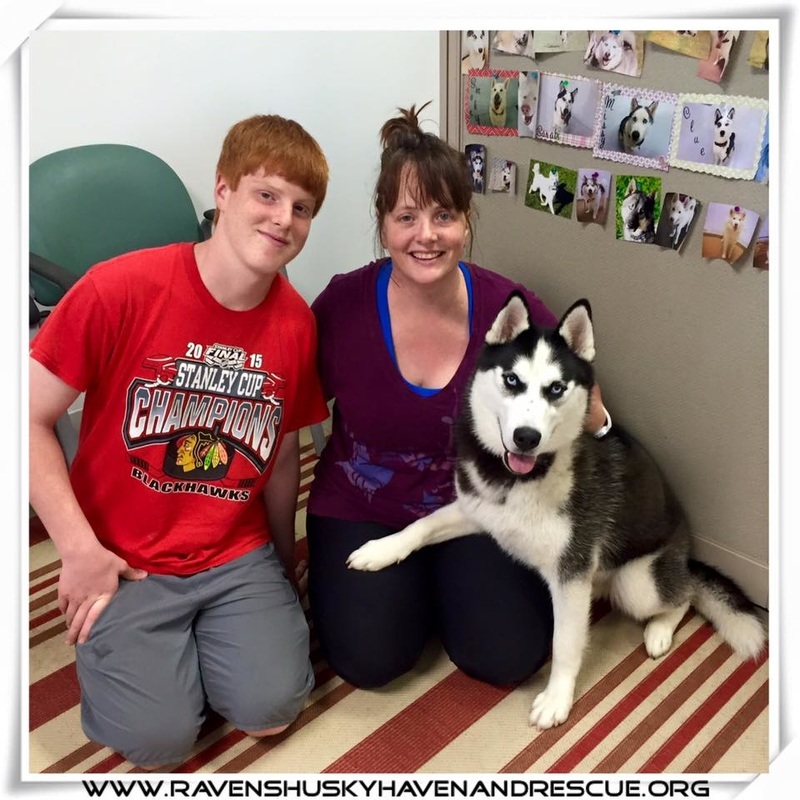 Finn is owned and loved by the Considine family, and has a husky sister named Raven! 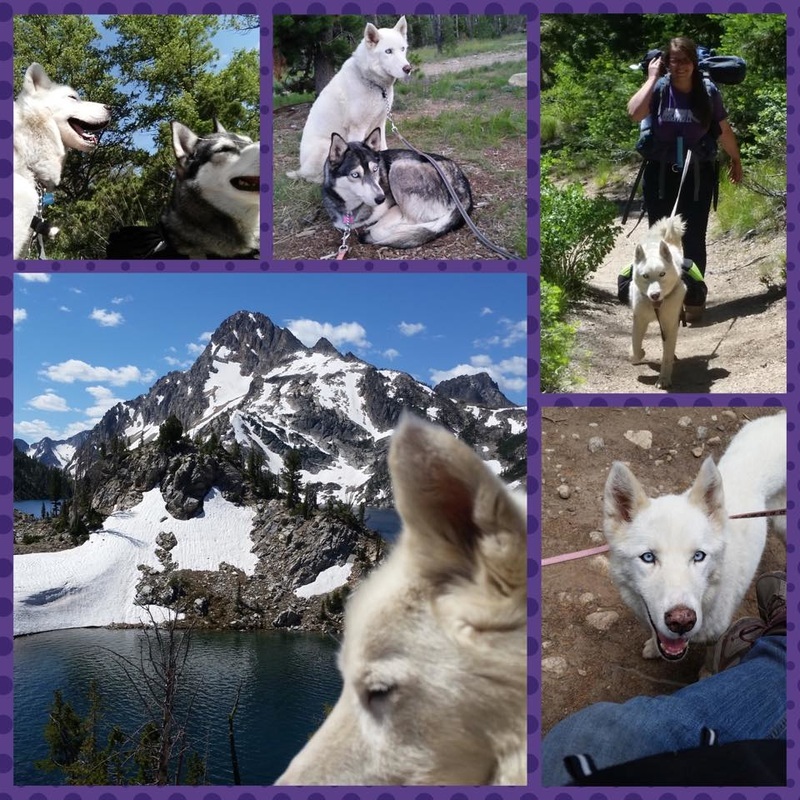 Kaiya is owned and loved by her dad Jake, and they love hiking together! Espresso is owned and loved by the Mikolajzek family! Max is owned and loved by the Unick family, and has a Beagle sister! 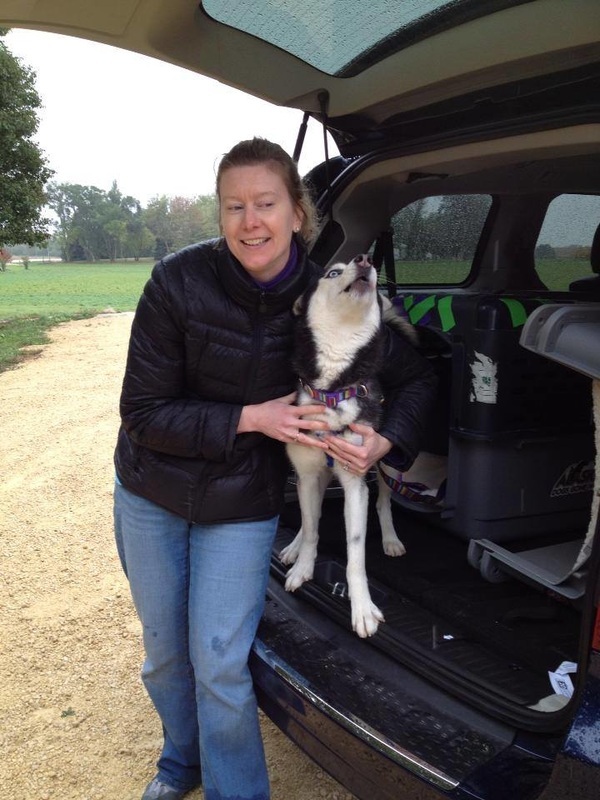 Kelly is owned and loved by the Elkin family, and has a husky brother Hugo! 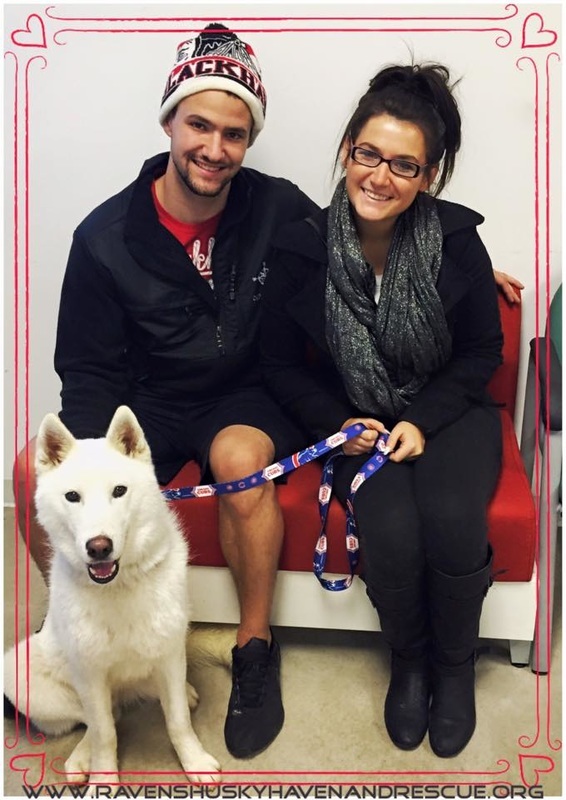 Mia is owned and loved by the Salomone family! 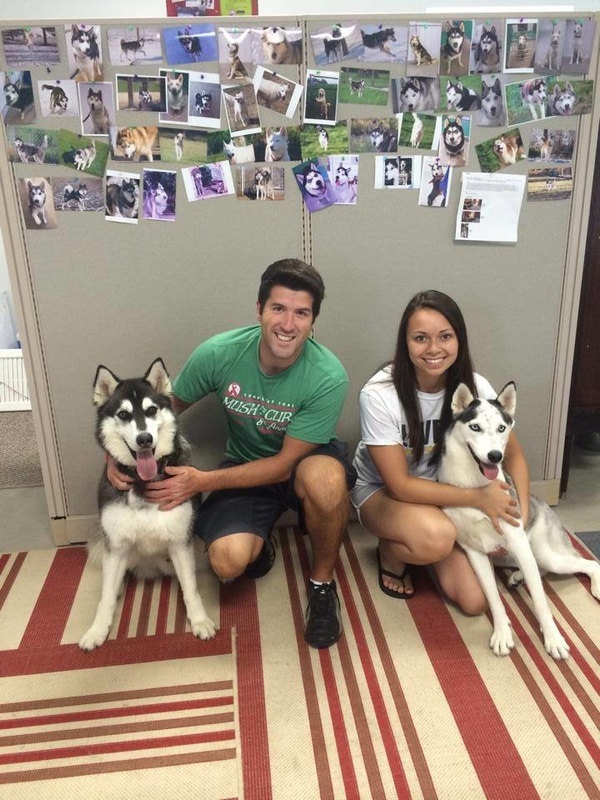 Lightning (now Akela) is owned and loved by the Simmons family, and has a husky mix sister Allie! Bella is owned and loved by the Meyer family! 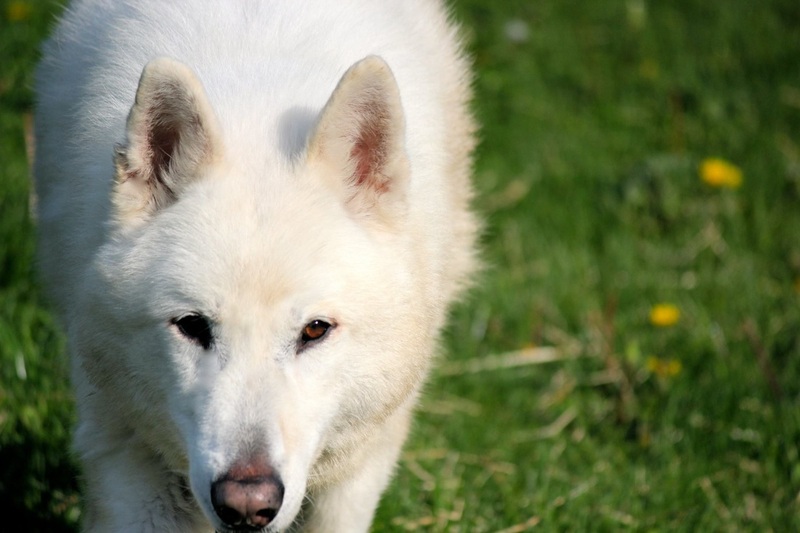 Dahlia was owned and loved by the Minch family until her passing at 10 years old. 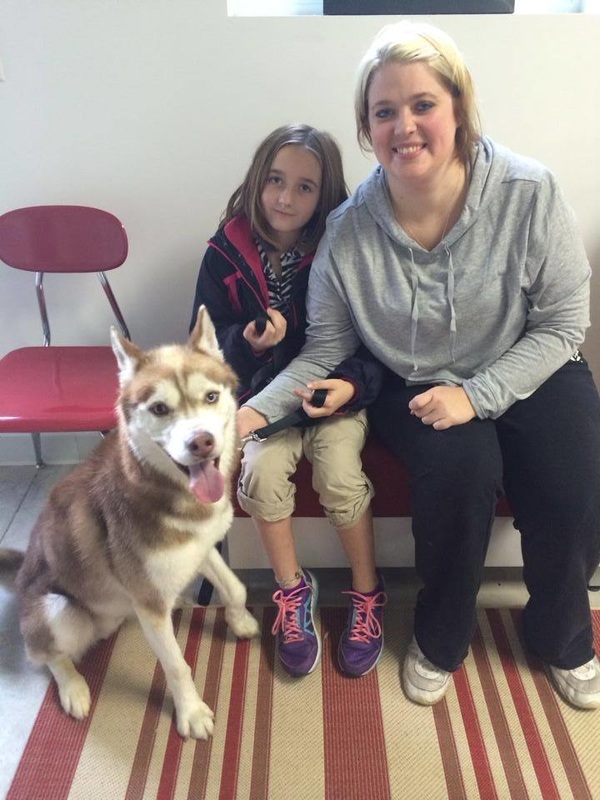 Thank you to her family for giving such care to her! 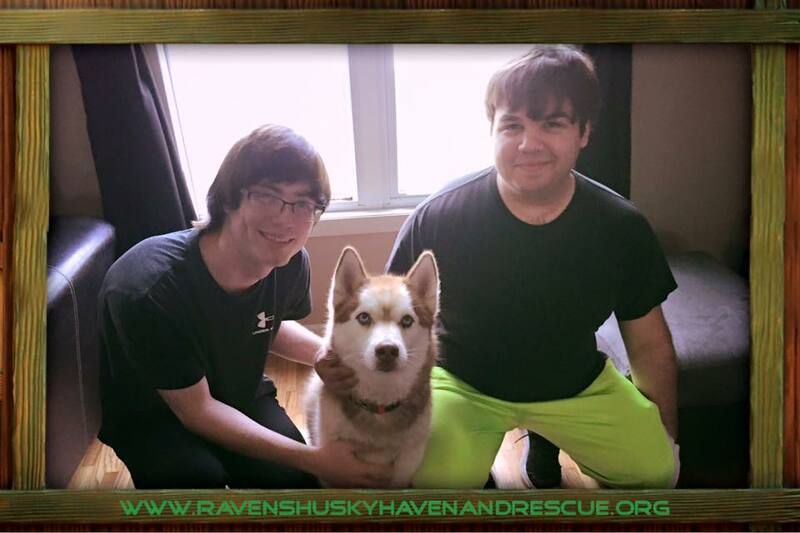 Devon is owned and loved by the Pozdal family, with husky brother Roy! 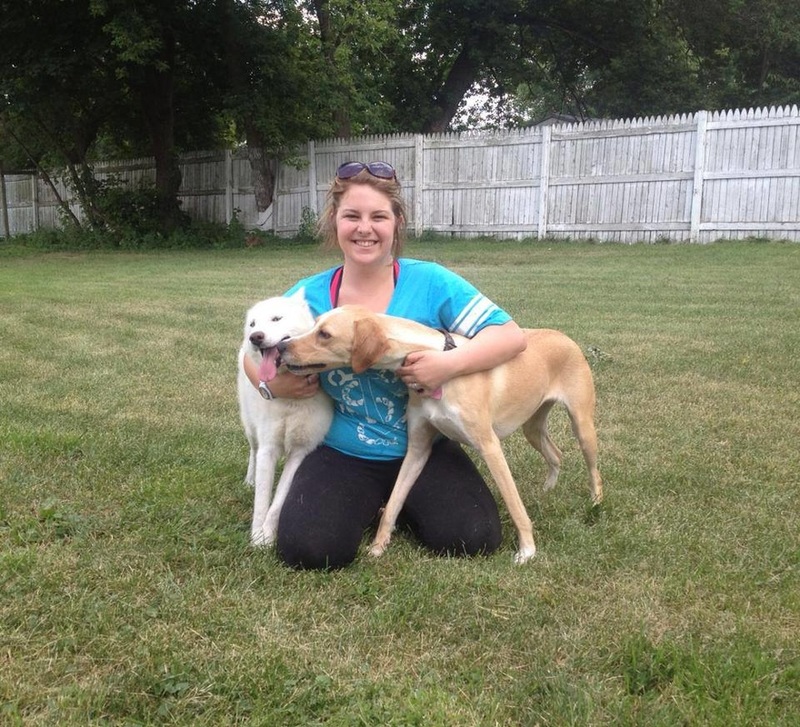 Quinn is owned and loved by Lauren, with canine brother Dexter! 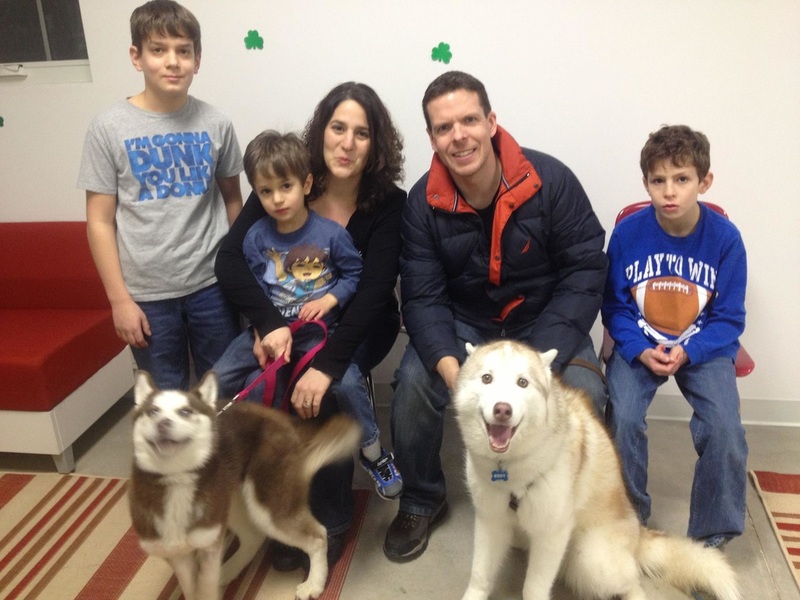 Ruby is owned and loved by the Carzoli family, and RHHR alum Laddy is her new brother! 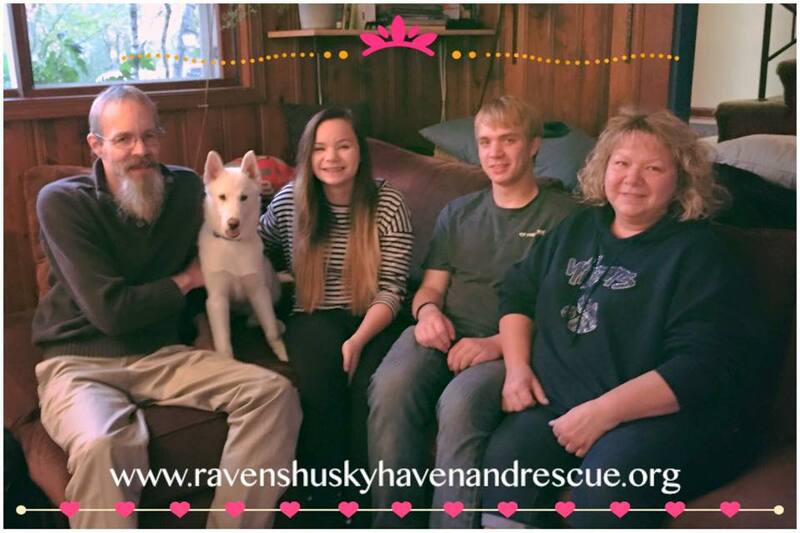 Harvey is owned and loved by Debbie and Leif, with canine siblings Kitty and Saki! 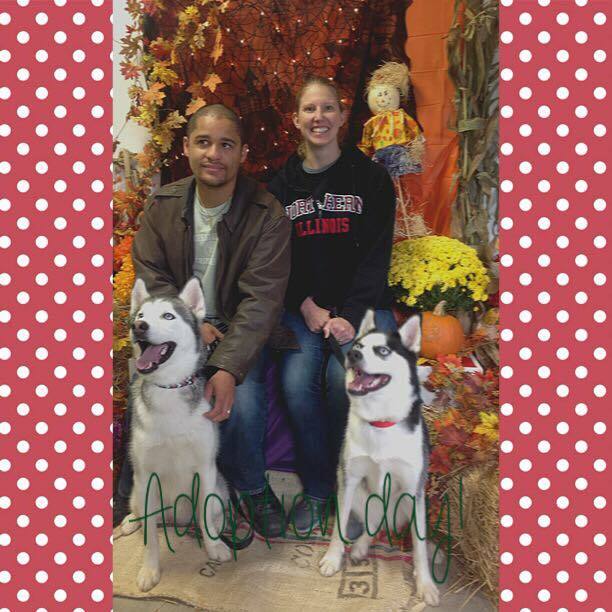 Diamond (now Penny) is owned and loved by the Ensalaco/Brady family! 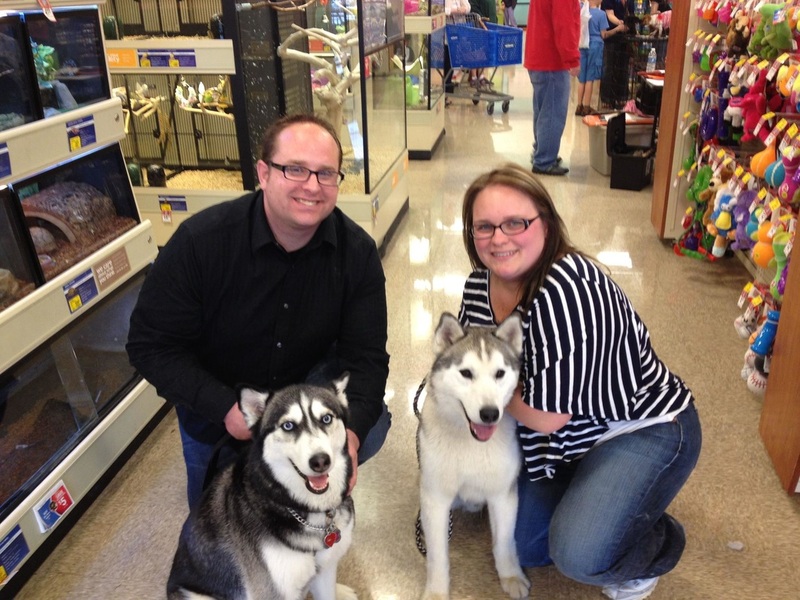 Sabrina is owned and loved by the Hill family, with husky brother Boone! 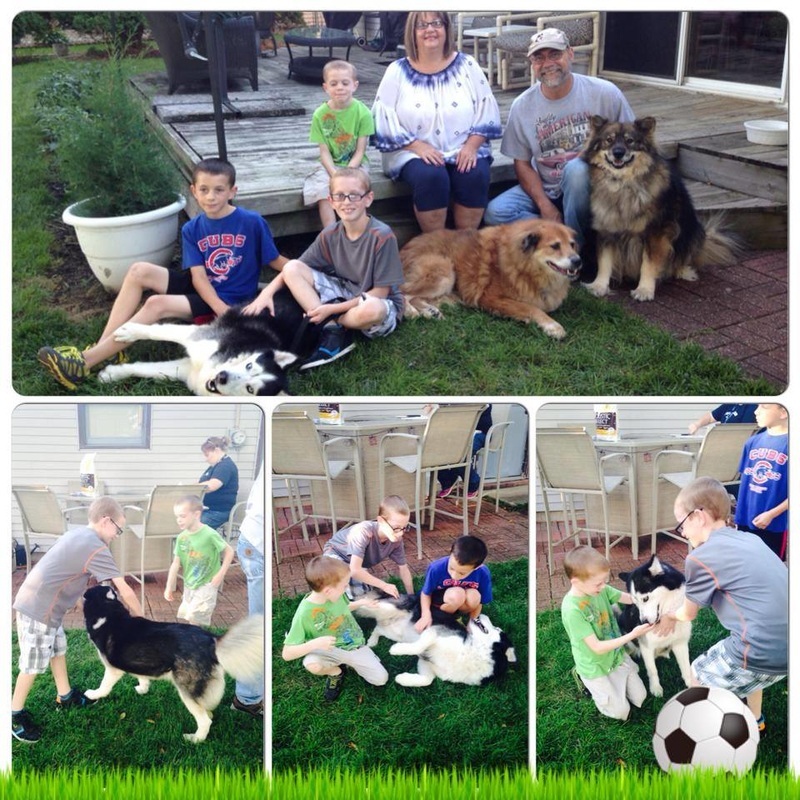 Mason is owned and loved by the Ebbesen family! Viva is owned and loved by the Ferguson family! 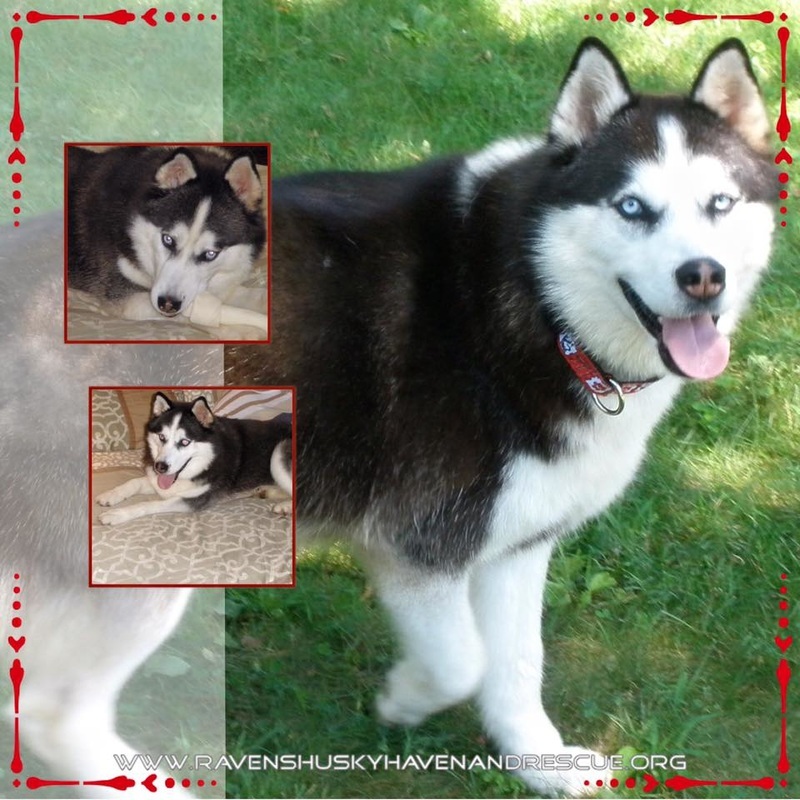 Pixie (now Dita) is owned and loved by the Krupa family, with husky brother Belmont! Neo is owned and loved by his dad Jon! 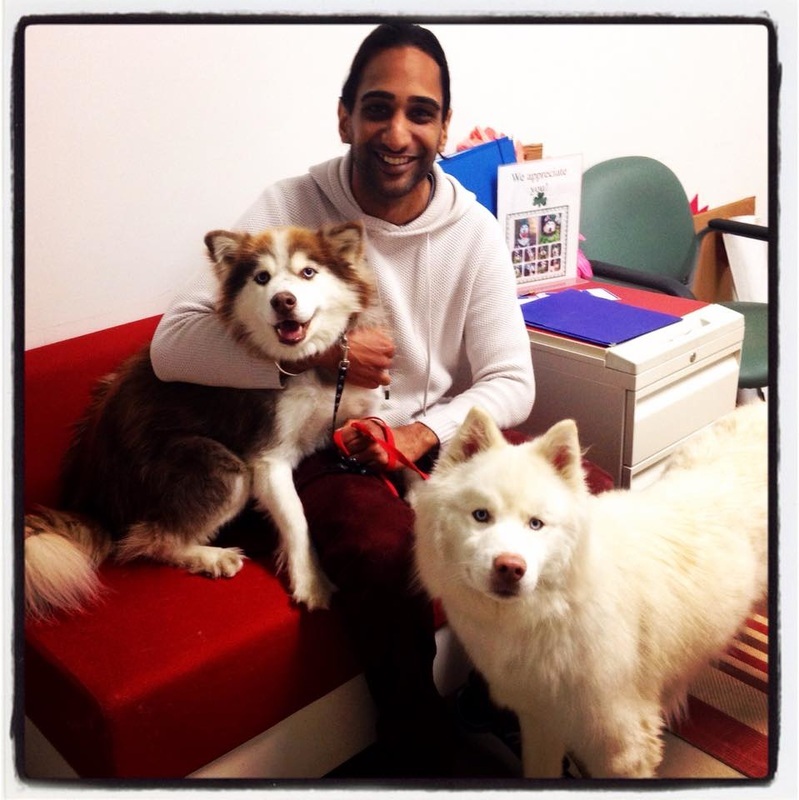 Jingles (now Diesel) is owned and loved by the Zissman family, with husky sister Sadie! 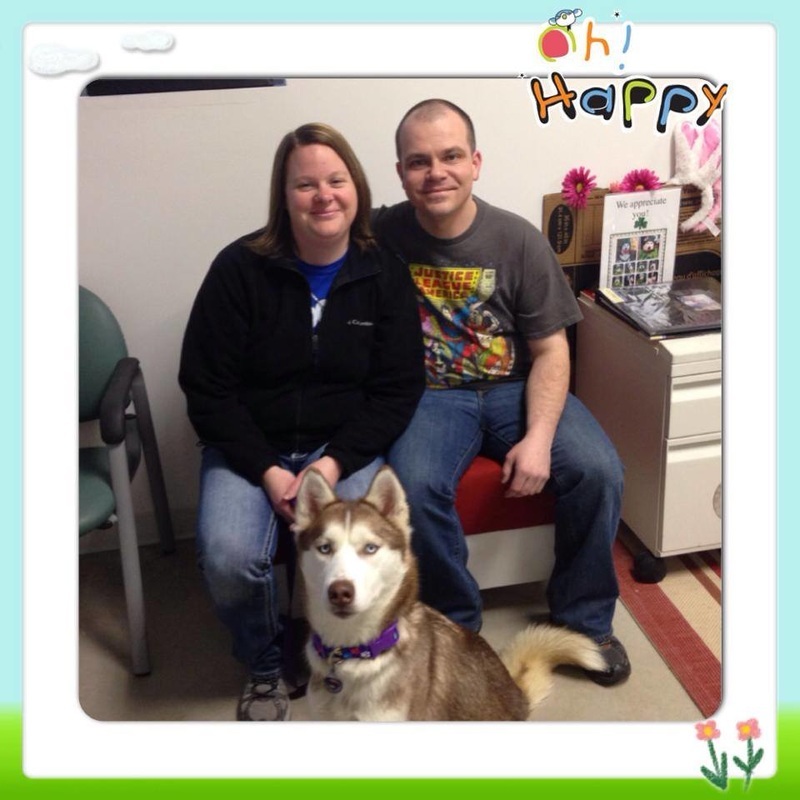 Holly is owned and loved by the Protano family! 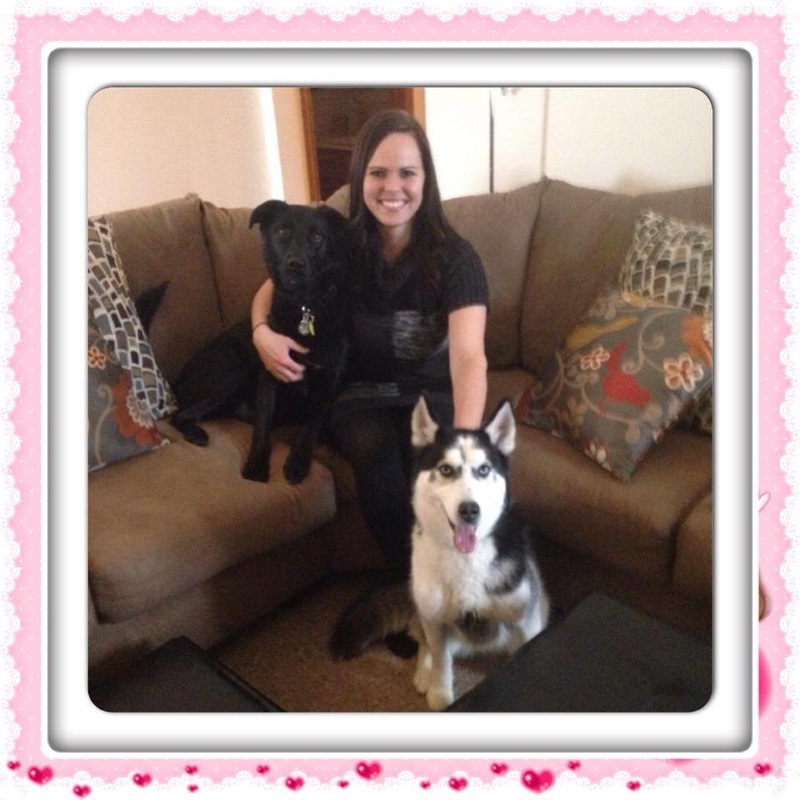 Reagan (now Remy) is owned and loved by the Godfrey family, Kato and Kiowa! 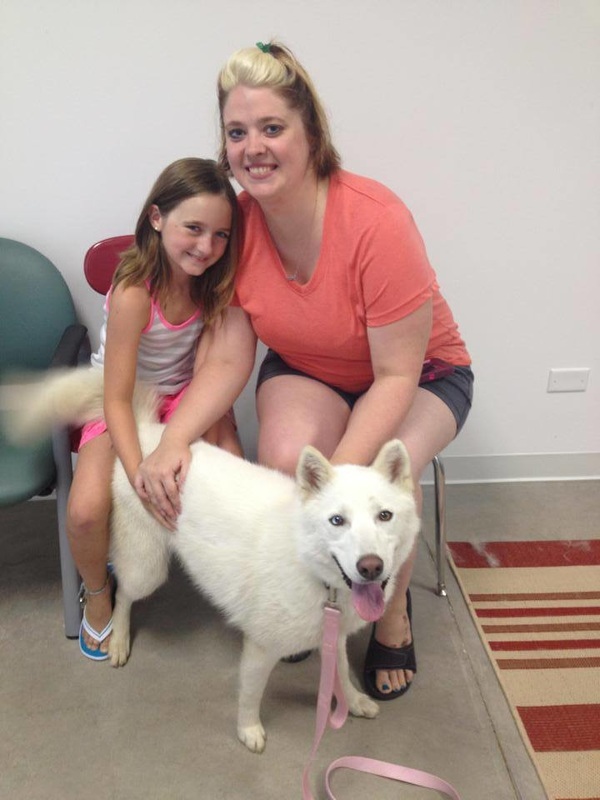 Nikita is owned and loved by the Bock family! 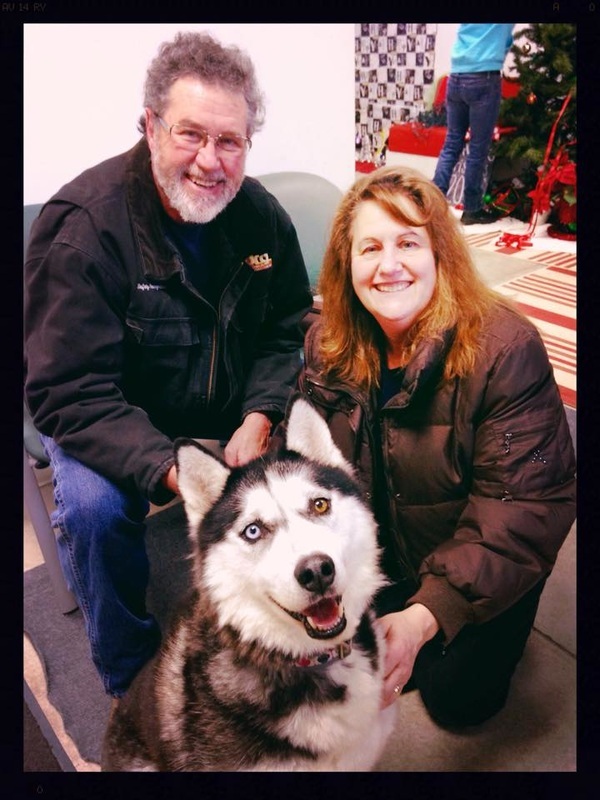 Jackson is owned and loved by the Haak family! Fire is owned and loved by the Goodman family! 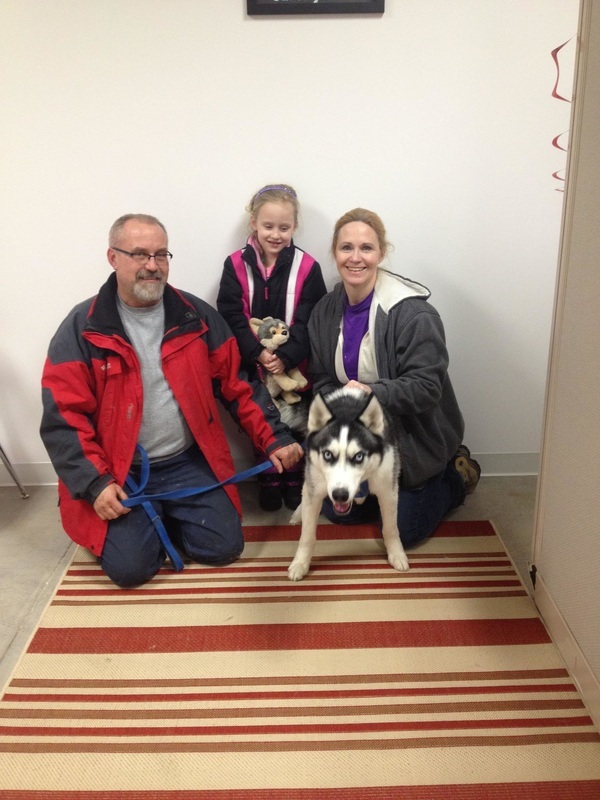 Diesel is owned and loved by the Fleming family! 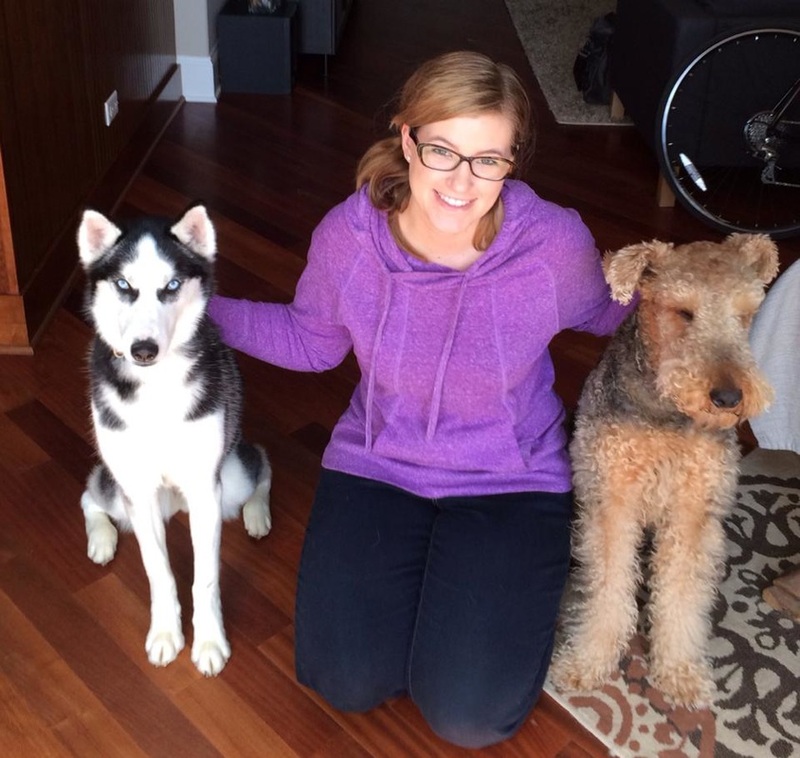 Peyton (now Laika) is owned and loved by the Sellers/Monical family, with Airedale brother Chance! Seamus was loved until his passing of terminal cancer. 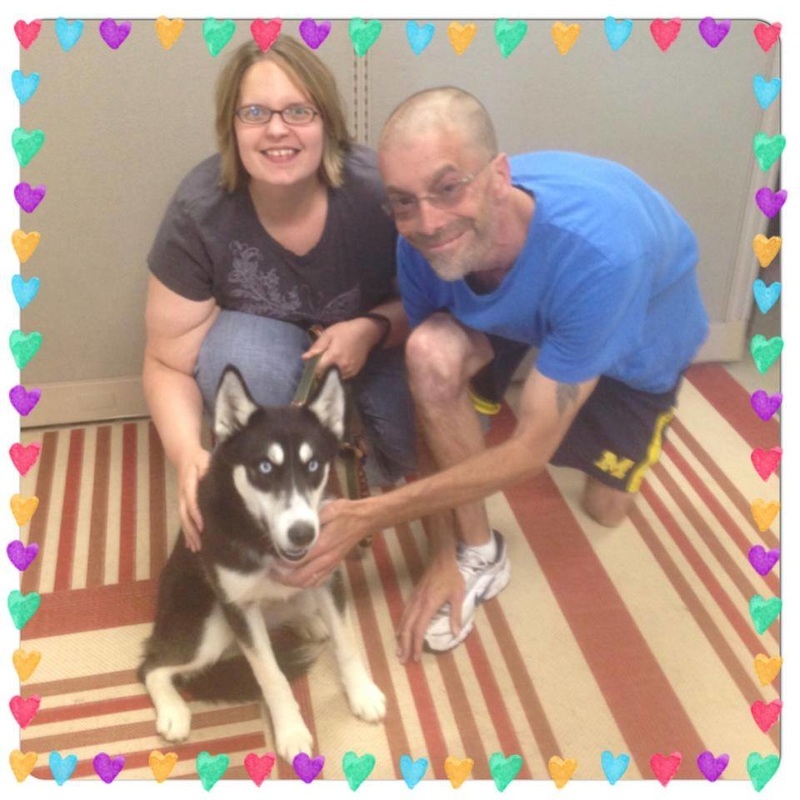 Midnight is owned and loved by the Smith family! 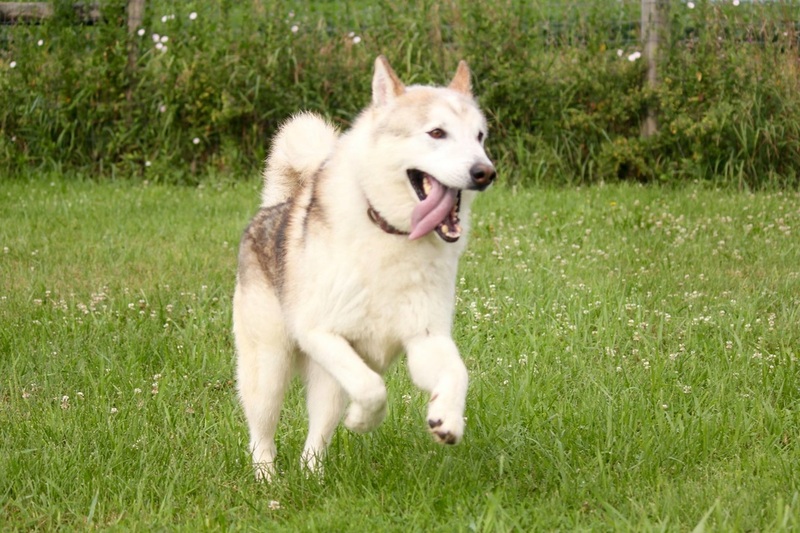 Niko is owned and loved by the Sun family! 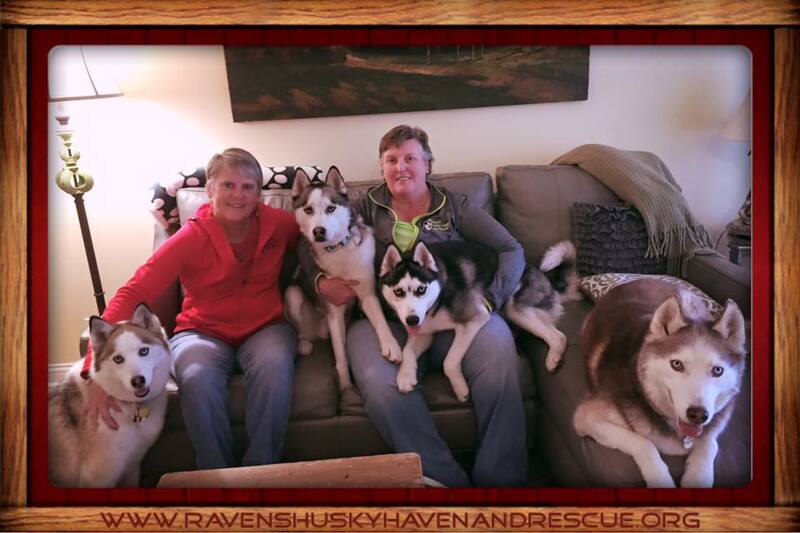 Shaun (now Blaze) is owned and loved by the Duvall family, with husky brother Cope! 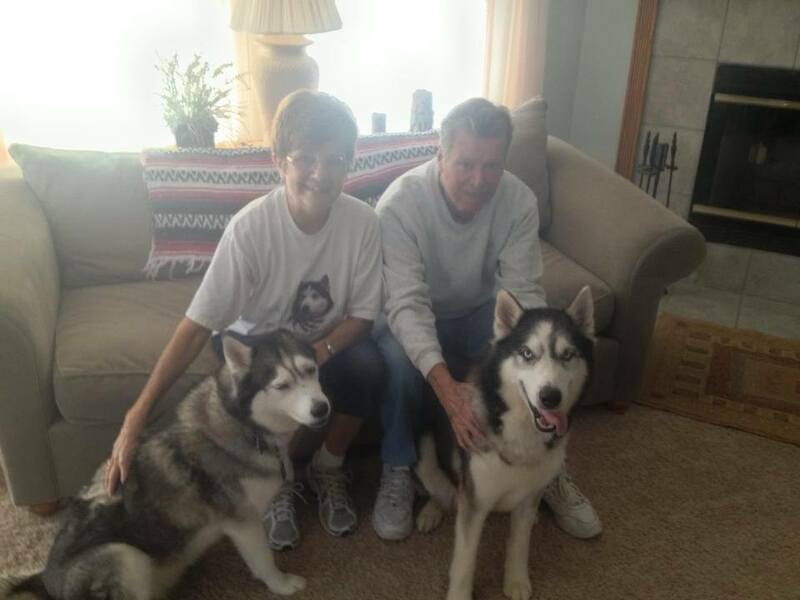 Guinness is owned and loved by the Hartwig family, with husky brother Duke! Jameson is owned and loved by the Duford family! 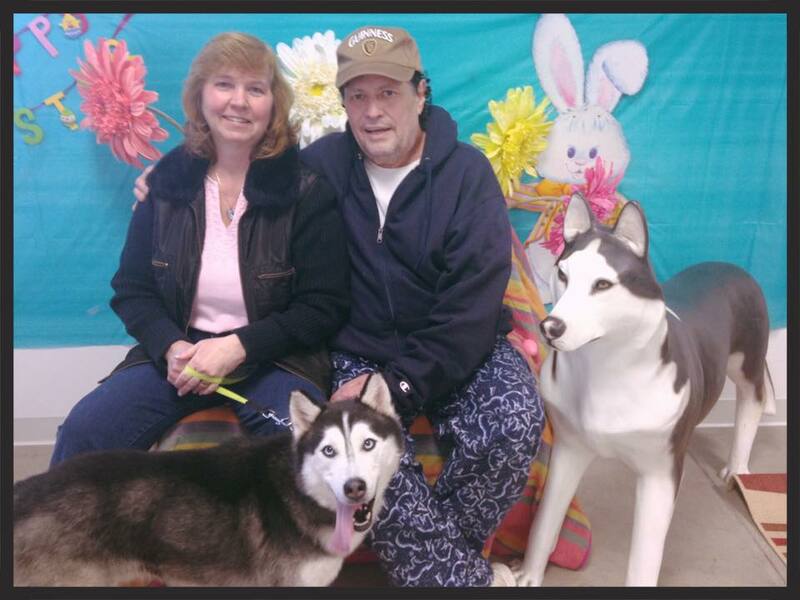 Shamrock is owned and loved by the Kenney-Gomez family! Cadbury is owned and loved by the Ulrich family! 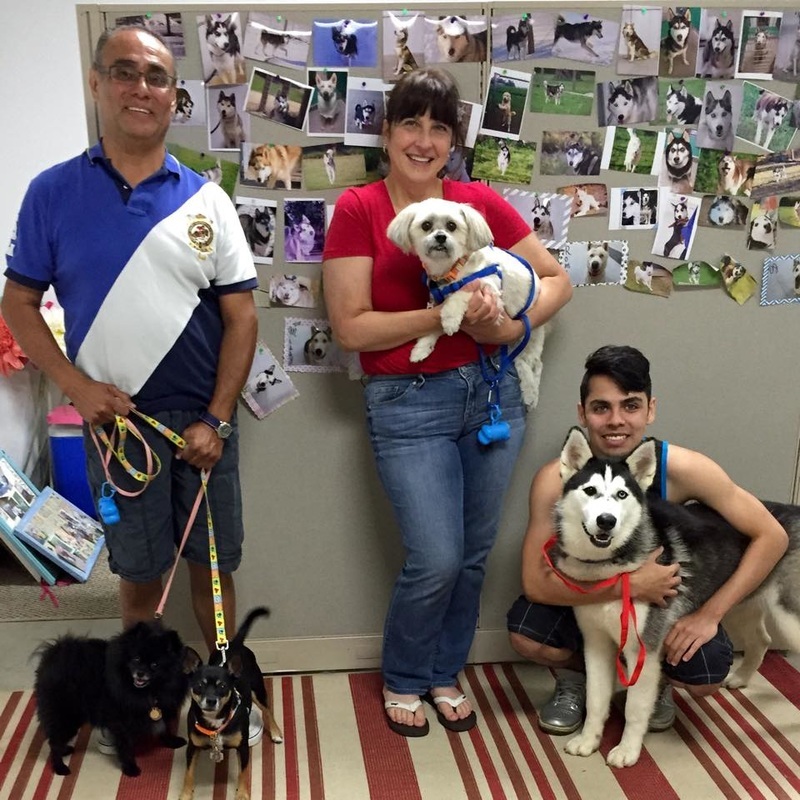 Mojo is owned and loved by the Solari family! Daisy is owned and loved by the Fischer family! Sara is owned and loved by the Flores family! 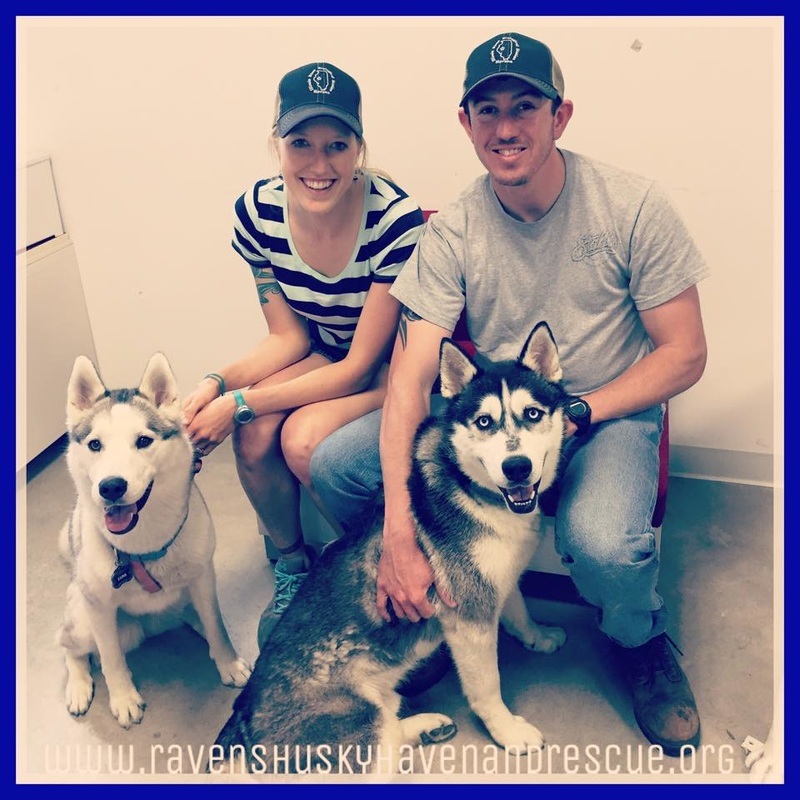 Revv is owned and loved by the Wright family, with husky sister Loki! 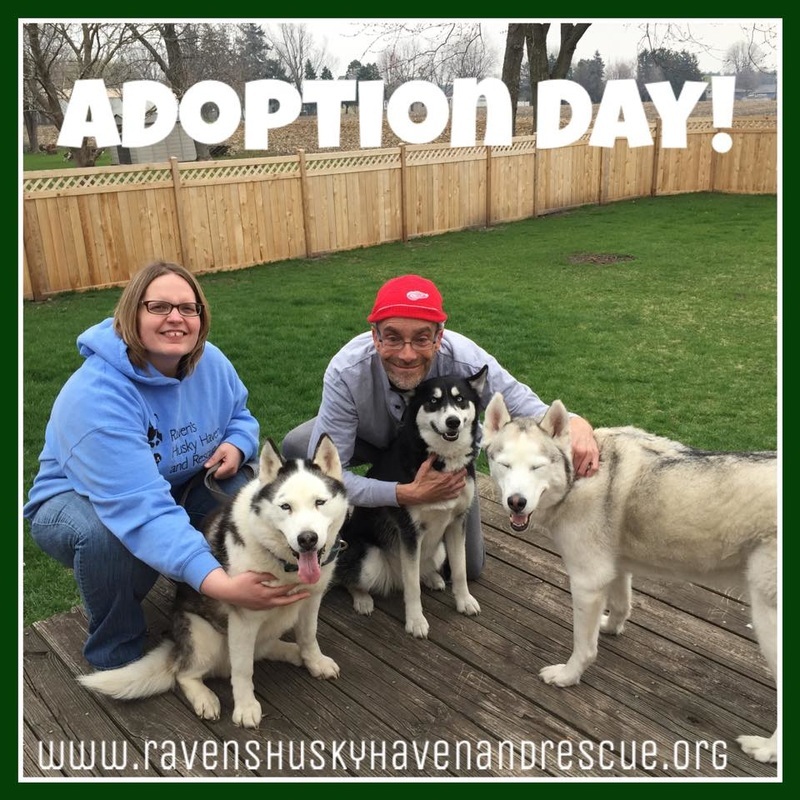 Izzy is owned and loved by the Chmara family, with RHHR alum brother Blaze! 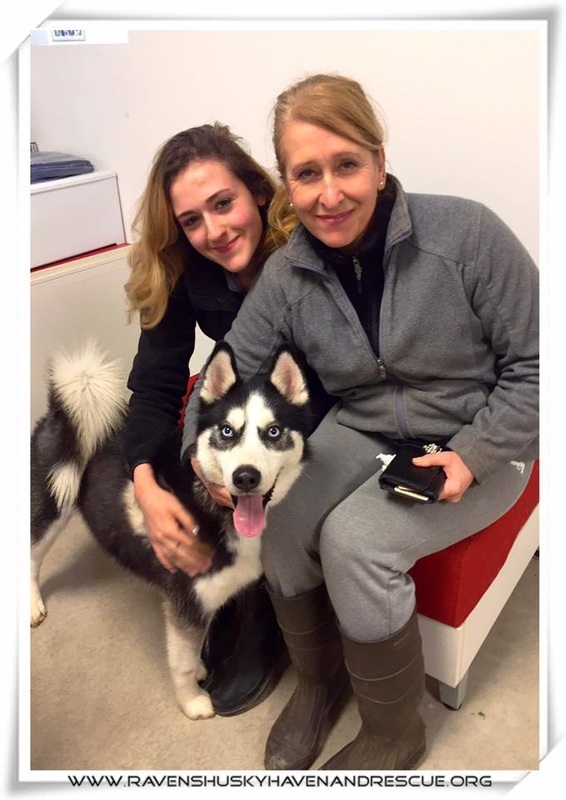 Churro is owned and loved by the Siegfried family, with husky brother Marley! Romeo is owned and loved by the Fishcer-Ehrich family! 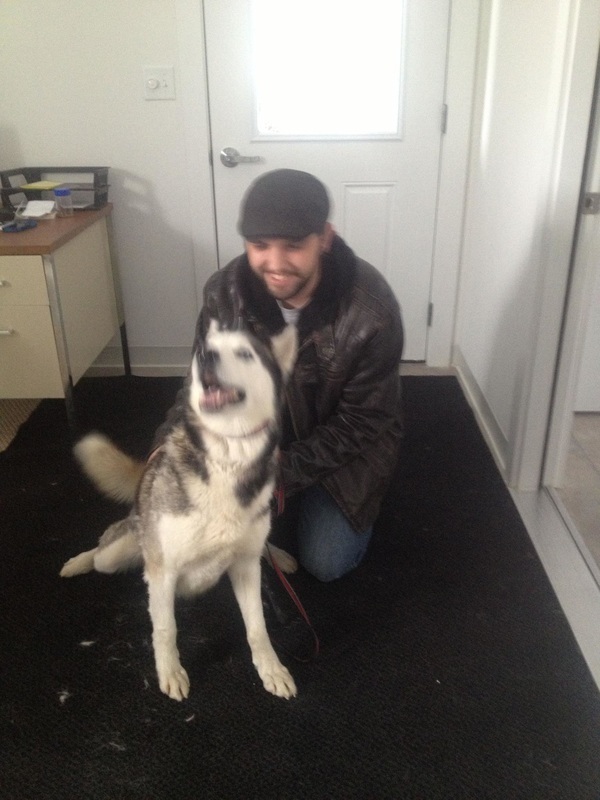 Juliet is owned and loved by the Baron family! 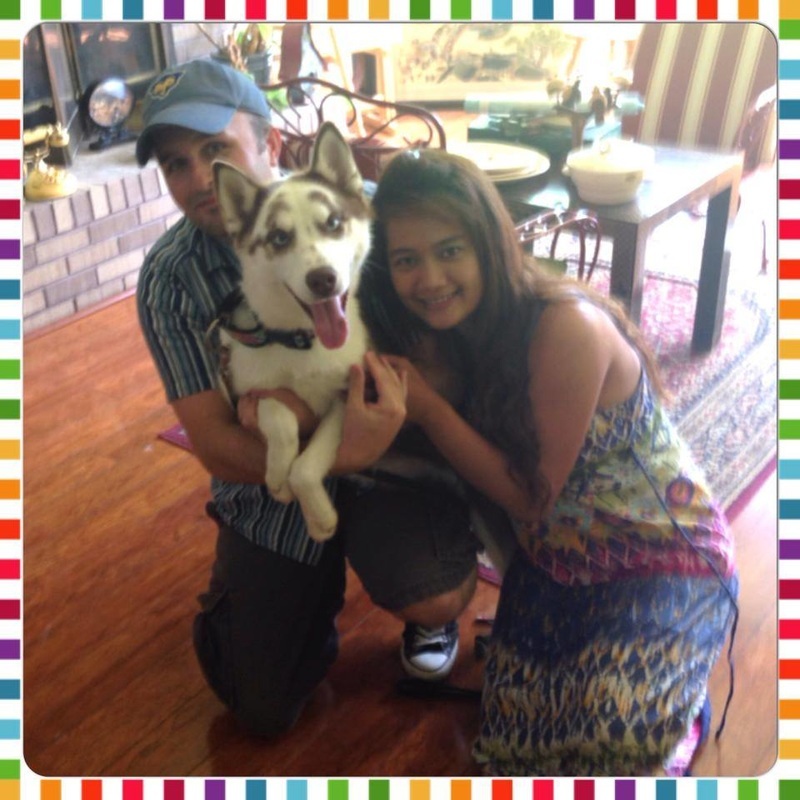 Echo is owned and loved by the Camarano family! 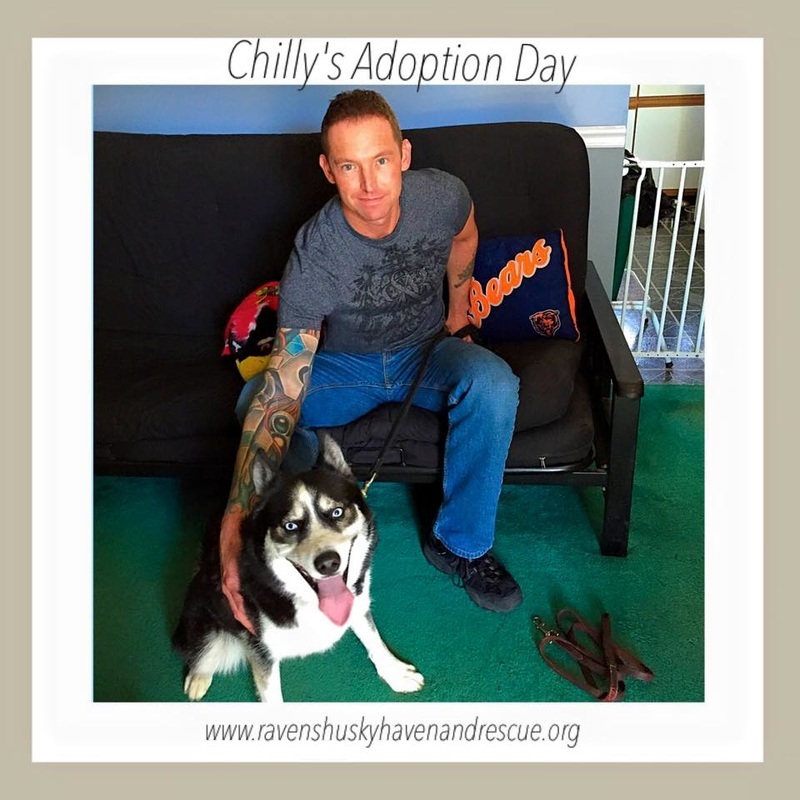 Chilly is owned and loved by the Hultsch family! DJ is looking for his forever home! 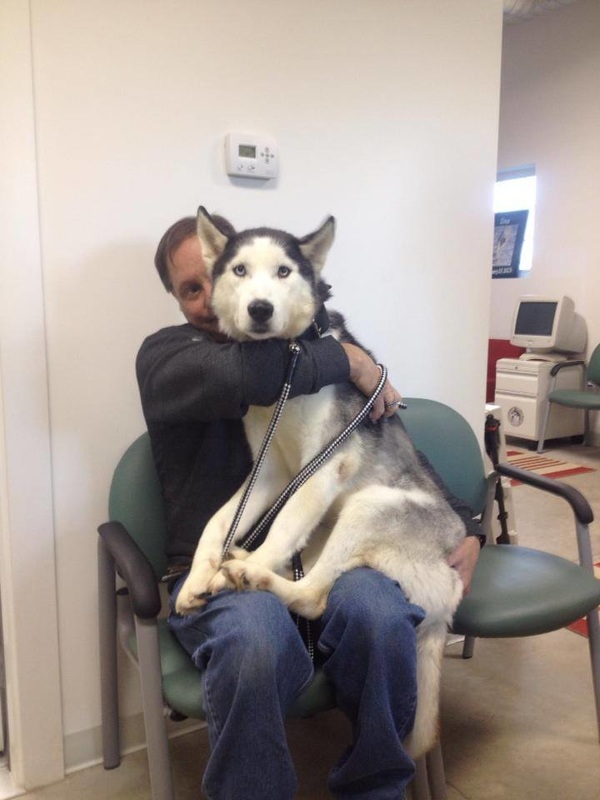 Smokey was loved until his passing due to terminal cancer. 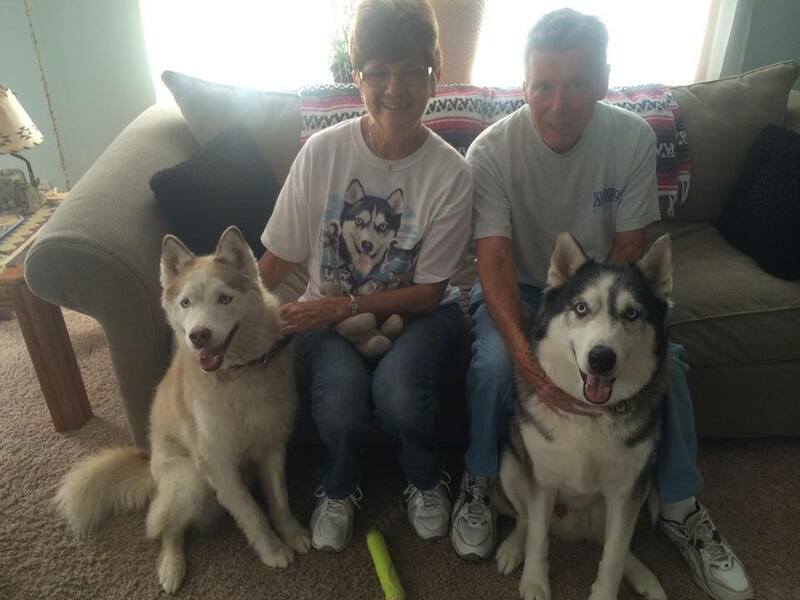 Lex is owned and loved by the Kang family, with husky sister Mia! 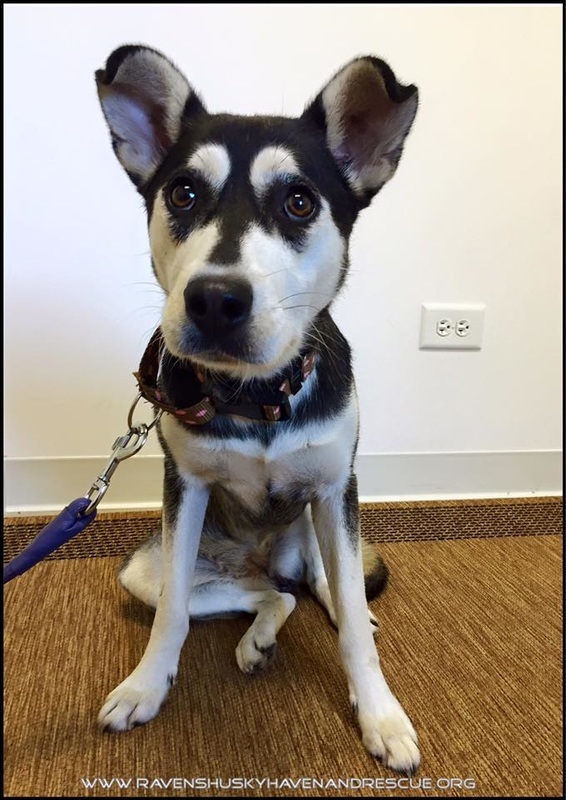 Fuli is looking for her forever home! 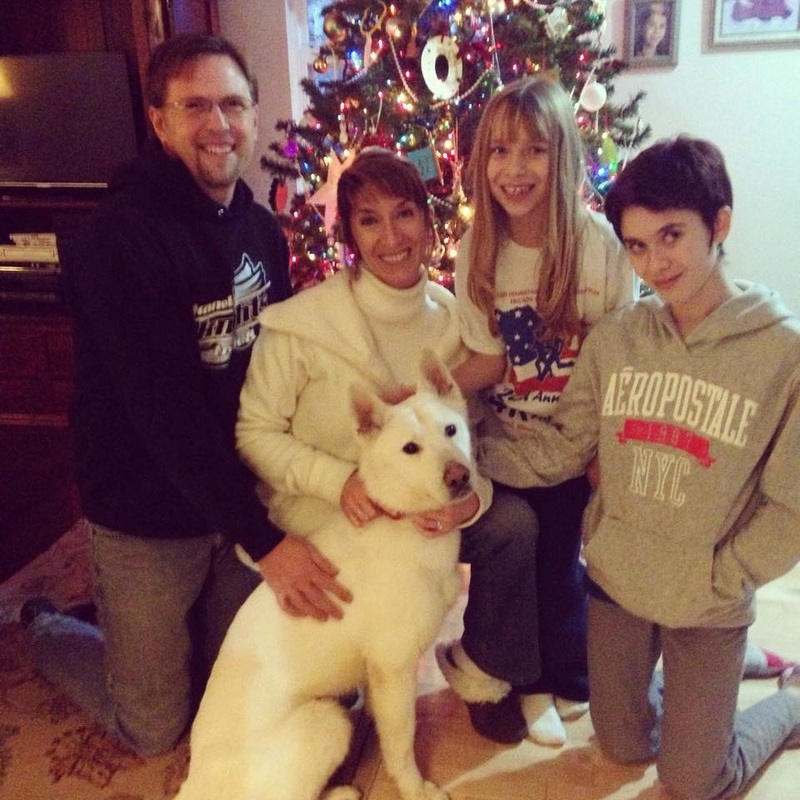 Missy is owned and loved by the Chmara family! Clue is owned and loved by the Dickey family! Champagne is owned and loved by the Meulmans family! Yahtzee is owned and loved by the Maglia family! Karma is owned and loved by the Molloy family! 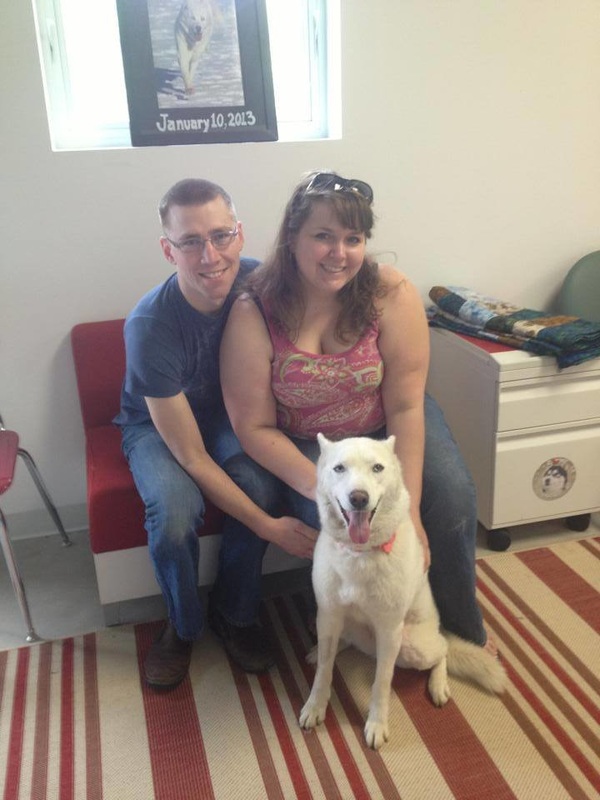 Nemo is owned and loved by the Mathews family! Aidan is owned and loved by the VanMiddlesworth family! Pancake is looking for her furever home! Waffles is owned and loved by the Reitz family! Shakira is owned and loved by the Carreno family! Neeko is owned and loved by the Kale family! 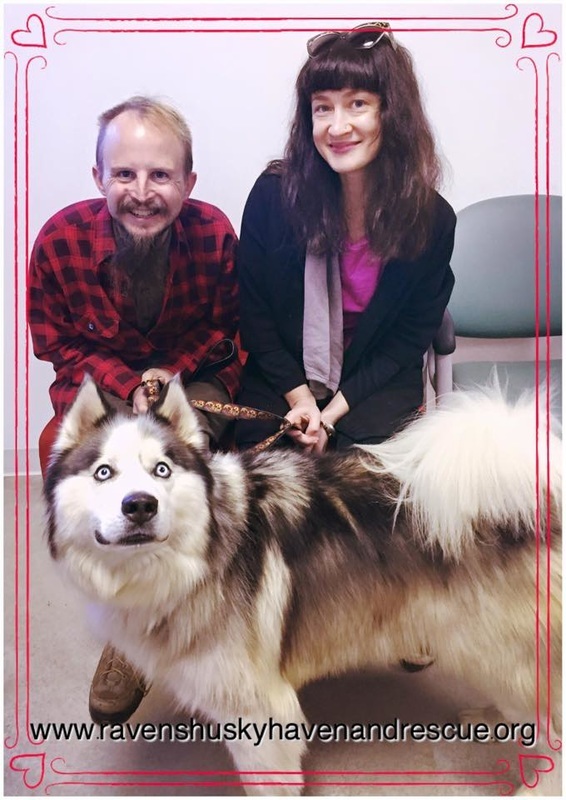 Indy is owned and loved by Joe and Leslie! 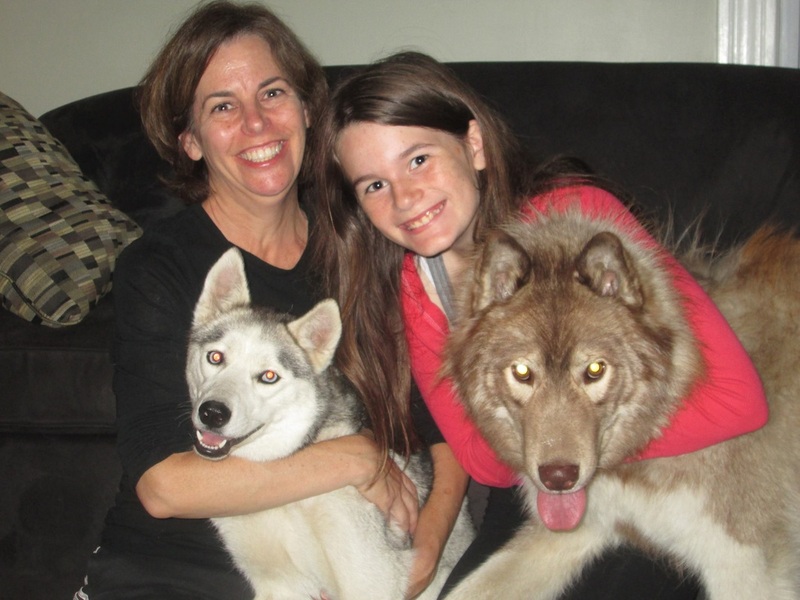 Xfina is owned and loved by the Begley family! 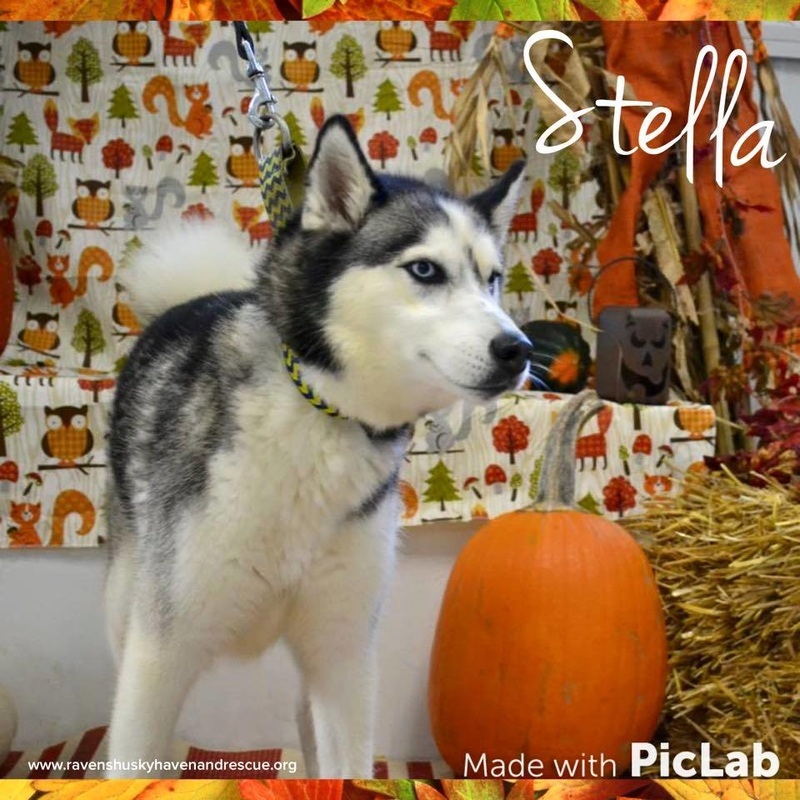 Stella was loved until her passing of epilepsy. 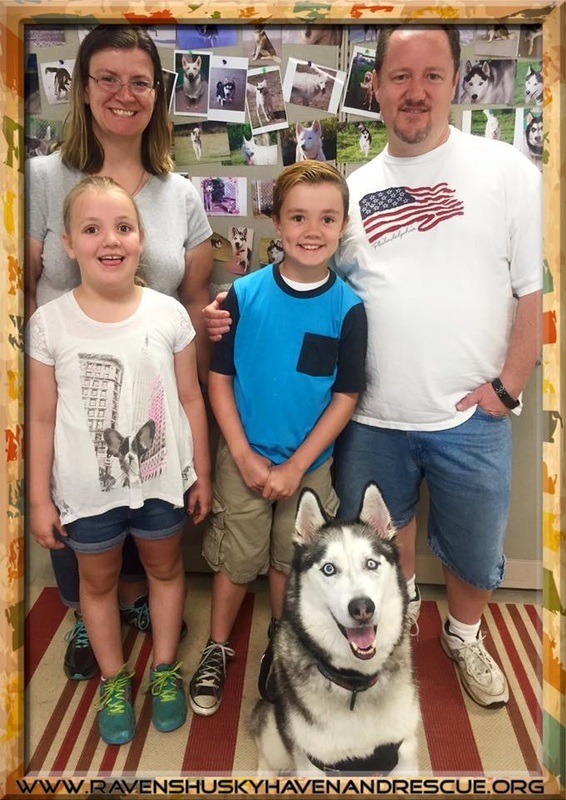 Mackie is owned and loved by the Hero family! 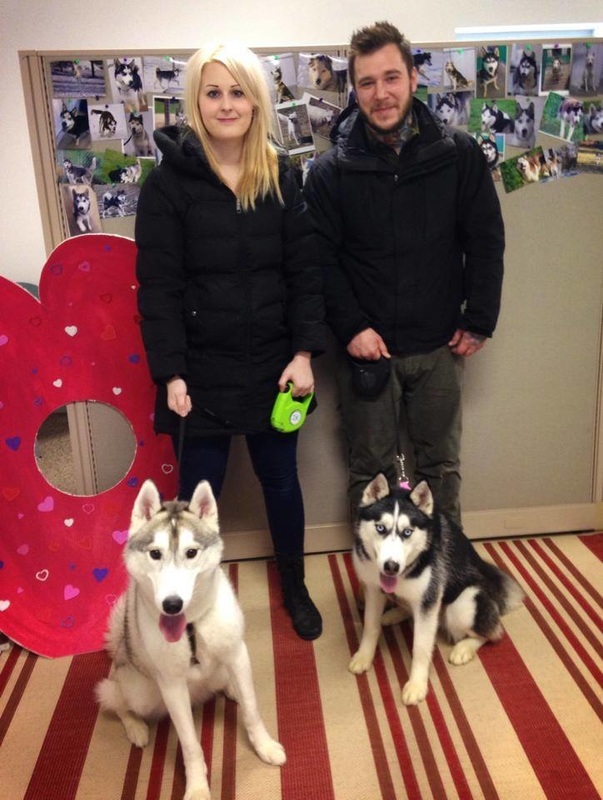 Storm is owned and loved by the Pudzis family! 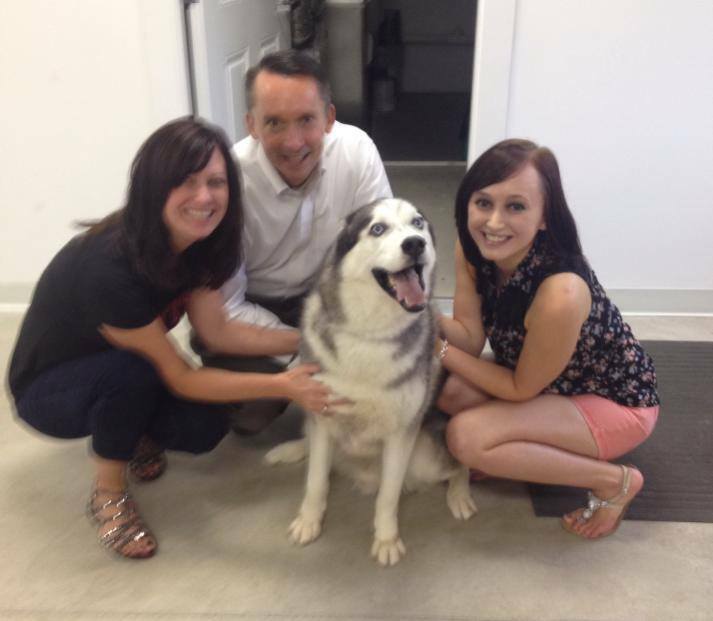 Trooper is owned and loved by the Davey family! 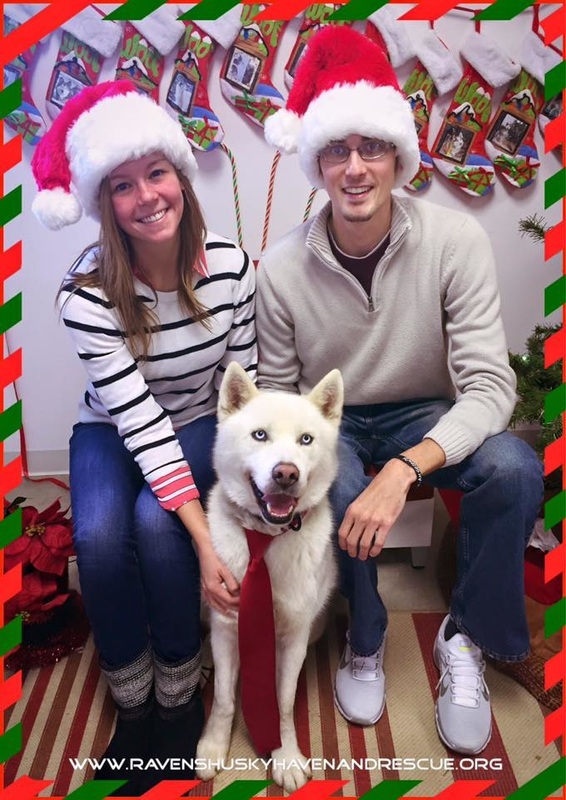 Bolt is owned and loved by the Bartels family! Corky is owned and loved by the Conrad-Solari-Ginther family! 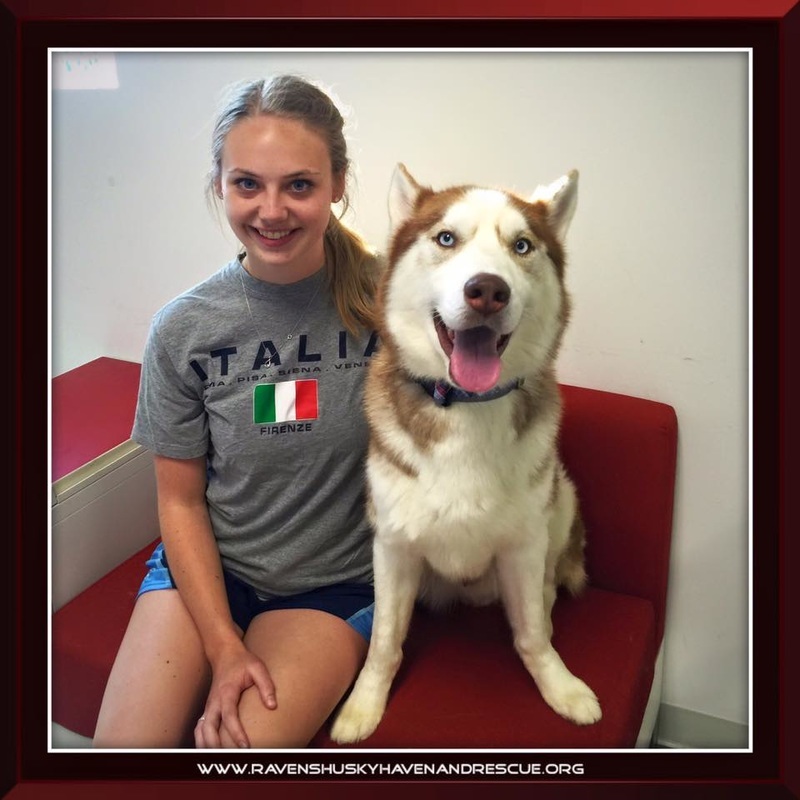 Roadie is looking for his forever home! 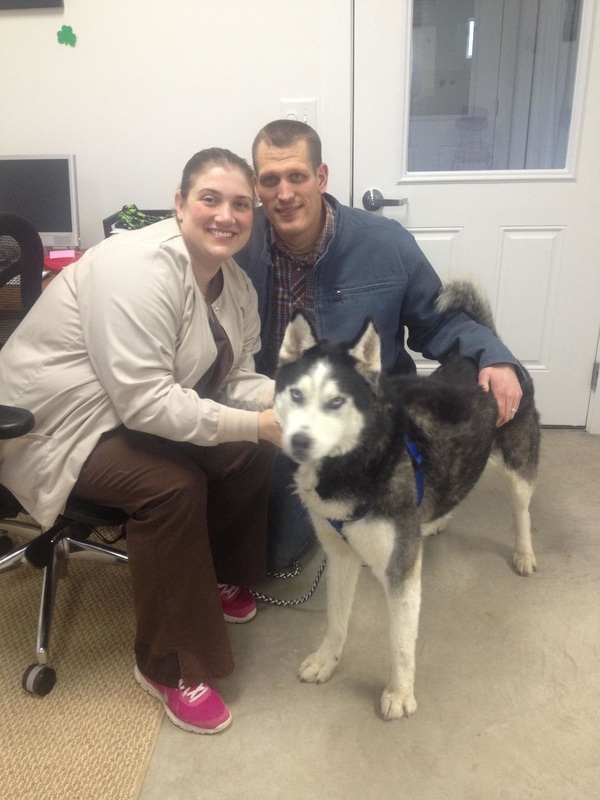 Jax is owned and loved by the Haddy family! 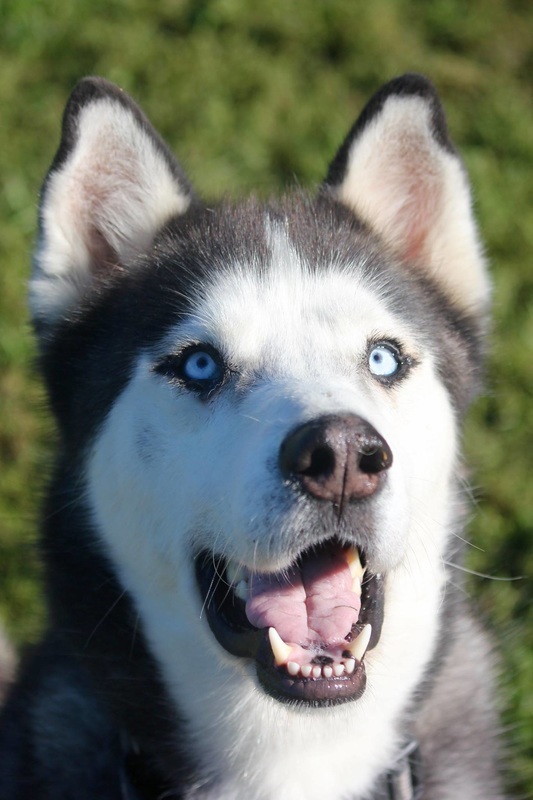 Kodiak is looking for his furever home! Alpha (now Bram!) 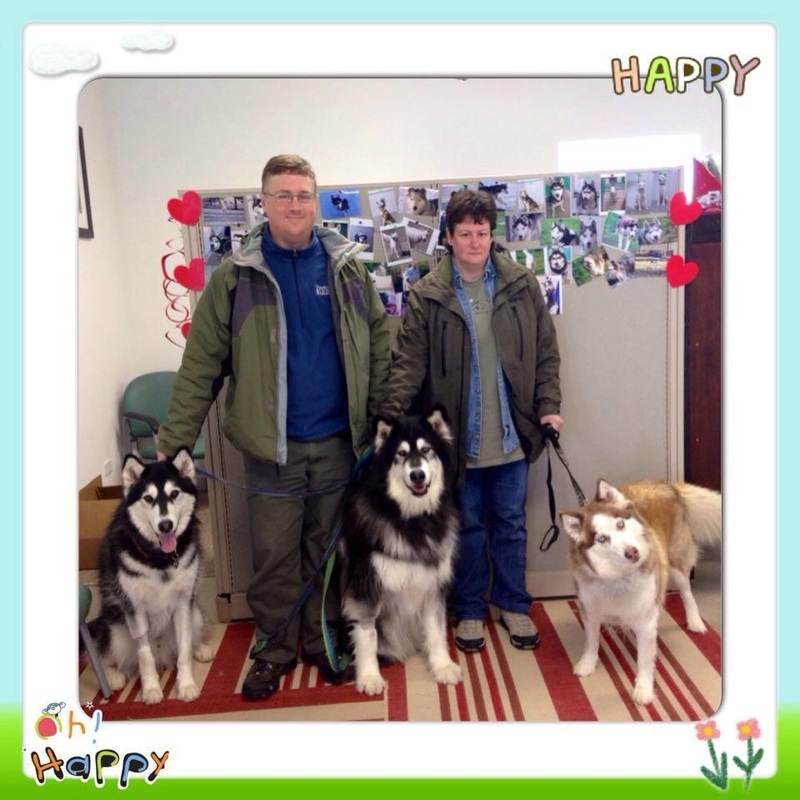 is owned and loved by the Lambert-Soule family with three husky siblings! 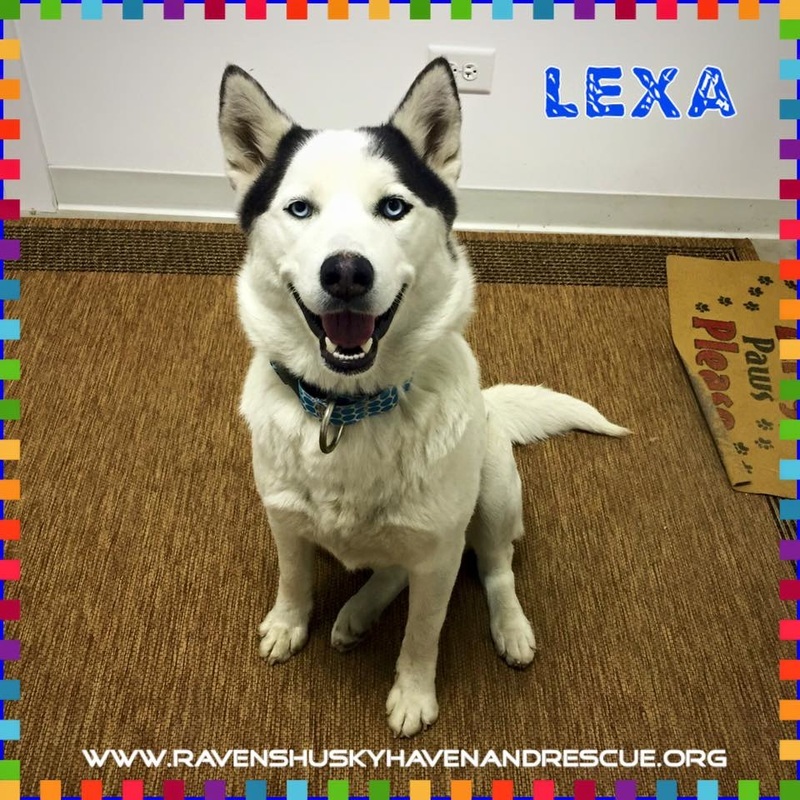 Lexa is looking for her forever family! Arctic (now Boone!) 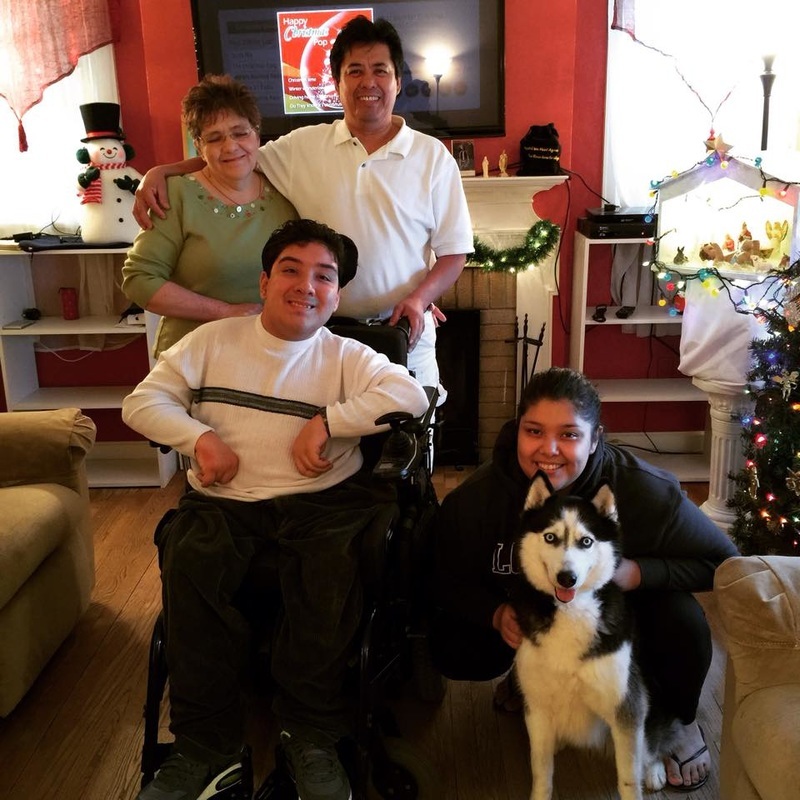 is owned and loved by the Hill family - volunteers of ours, plus Sabrina's (#42) family! 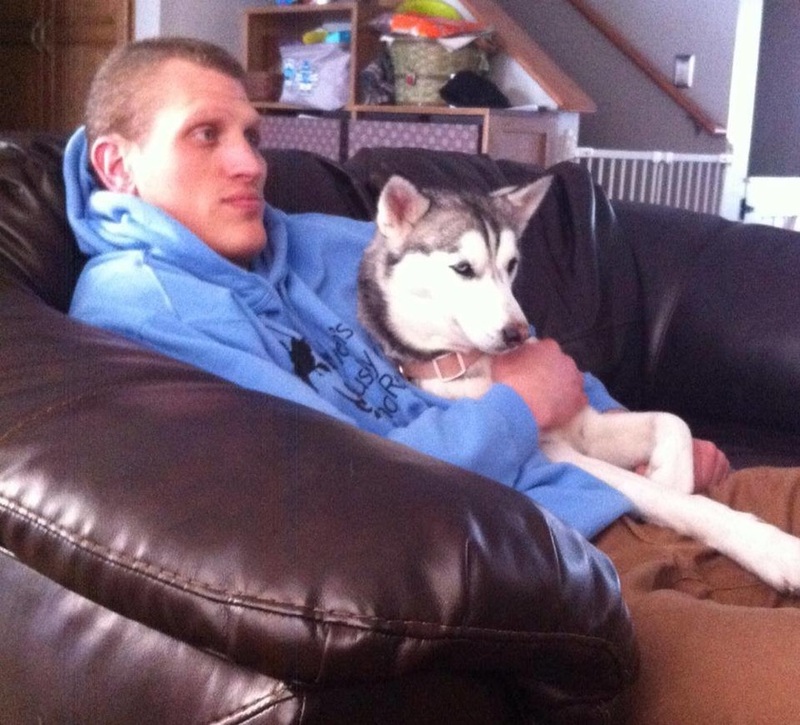 Hunter is owned and loved by Jon Shaffer! Flash is owned and loved by the Mulhern family! Gus is looking for his forever family! 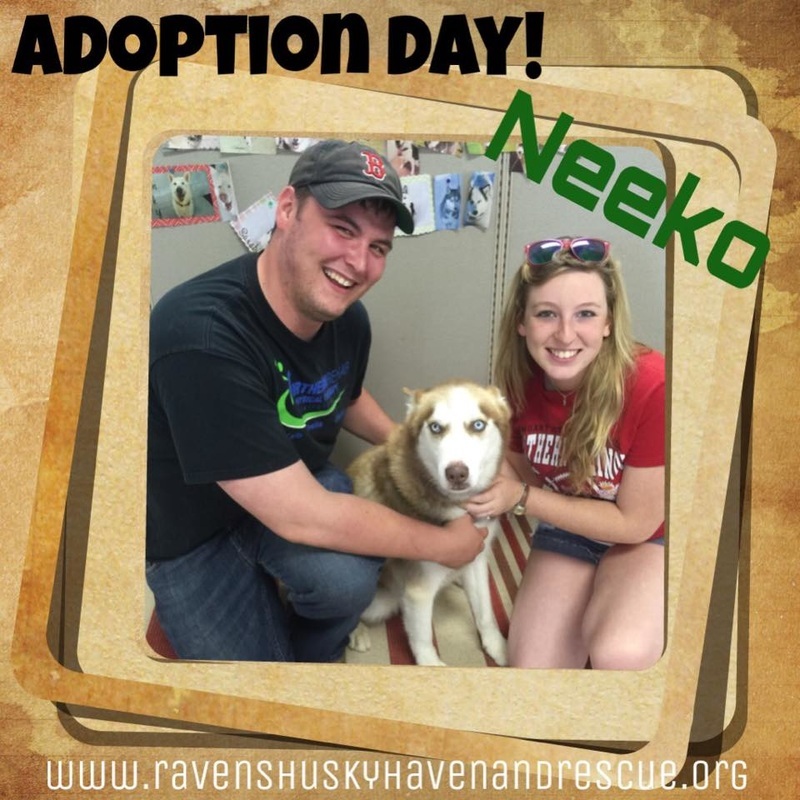 Neiko is looking for his forever home! 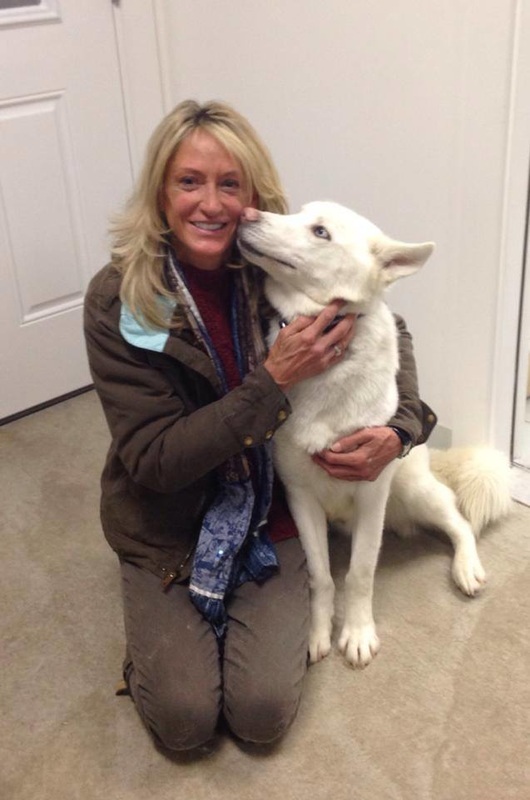 Dakota is owned and loved by Nicole! 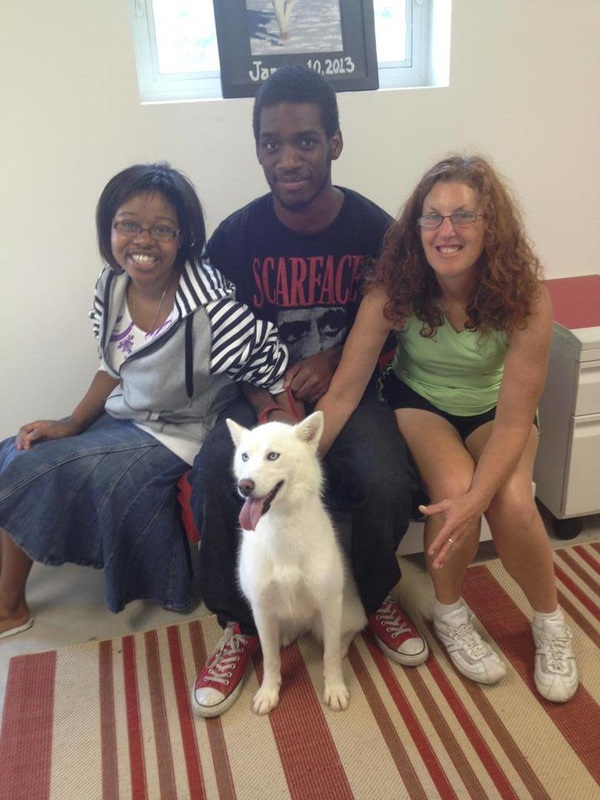 Dandy (now Buddy) is owned and loved by the Minch family! 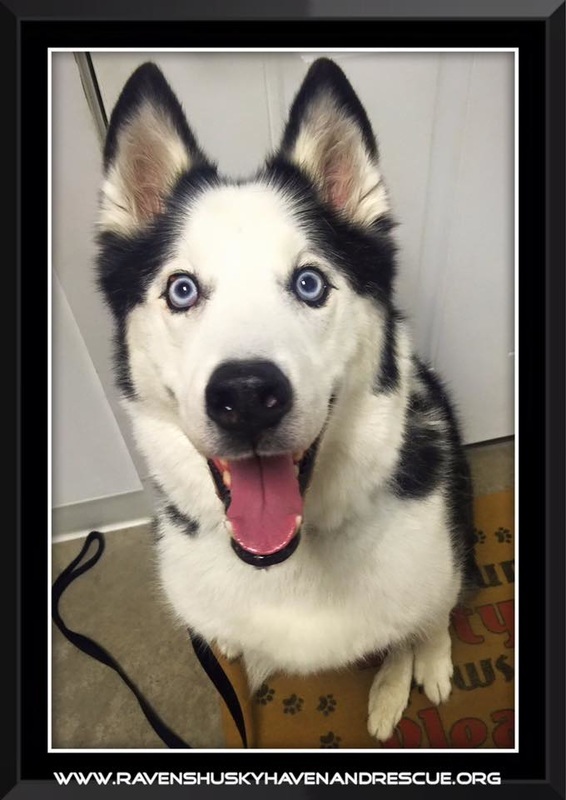 Rush is looking for his forever home! 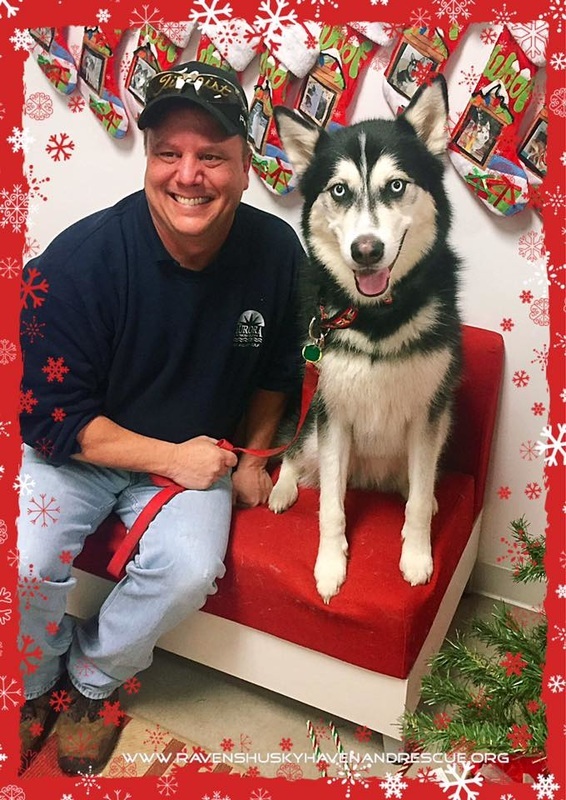 Spirit is looking for her forever home! Toby is looking for his forever home! Liberty is looking for her forever home! 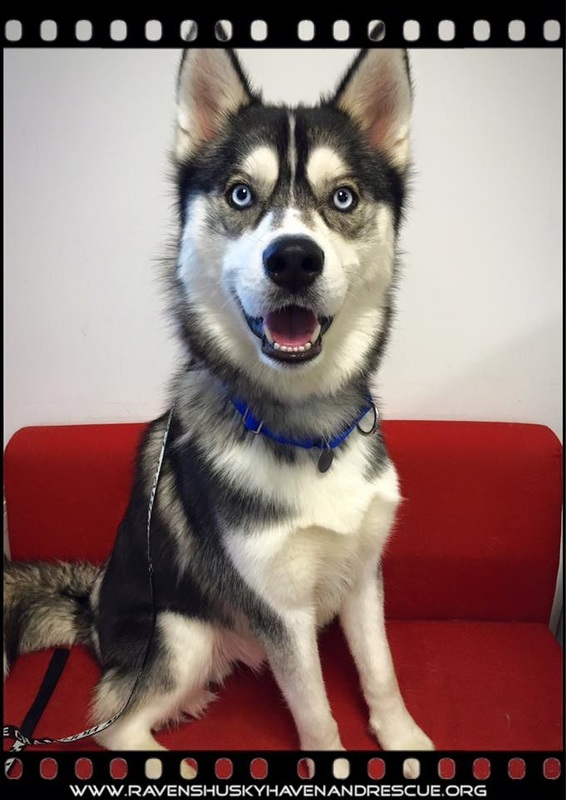 Diesel is looking for his forever home!